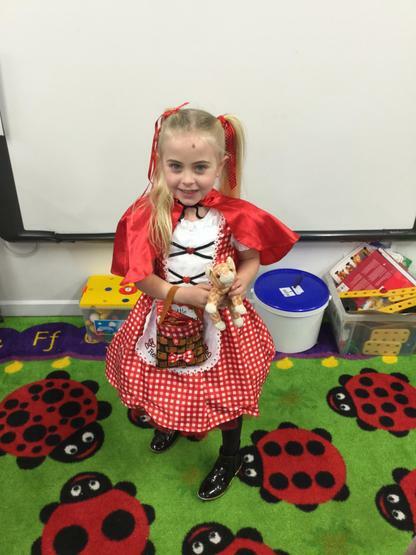 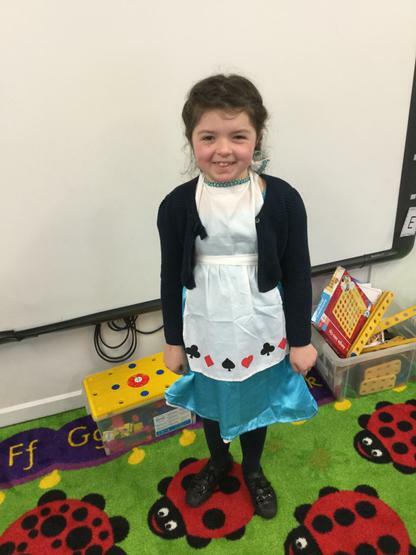 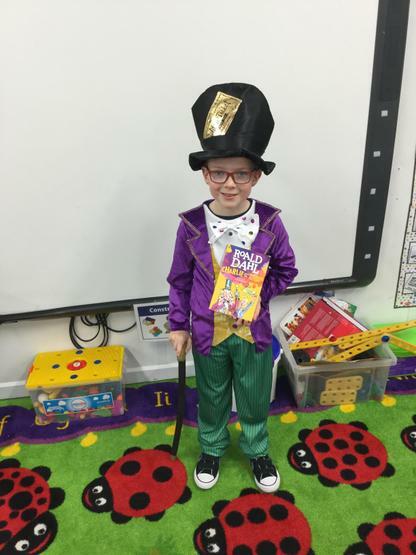 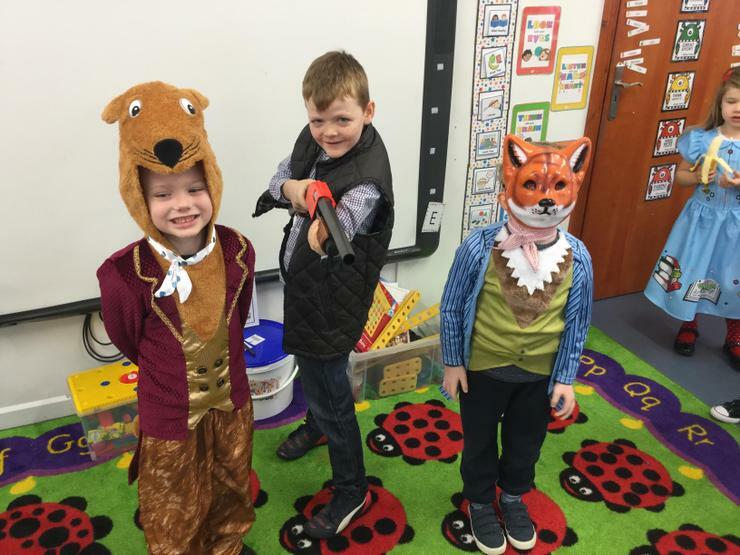 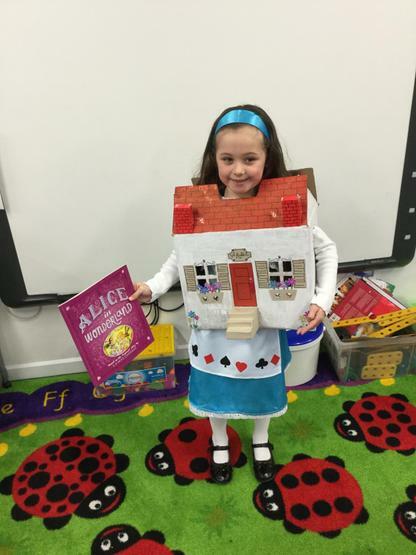 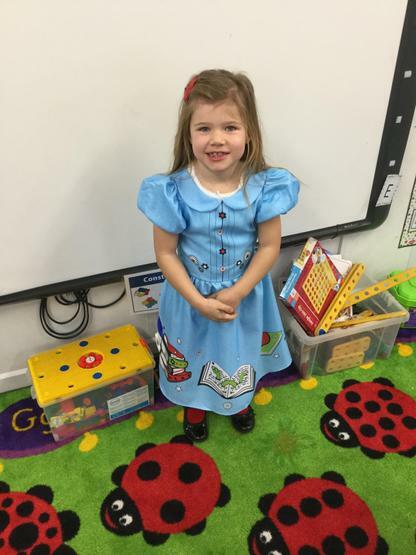 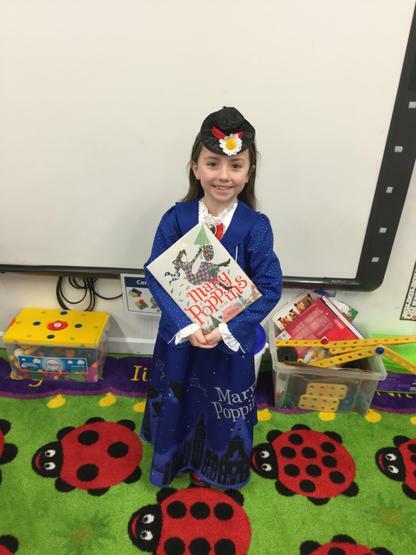 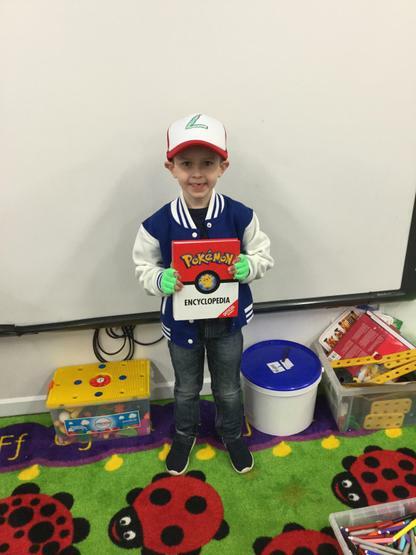 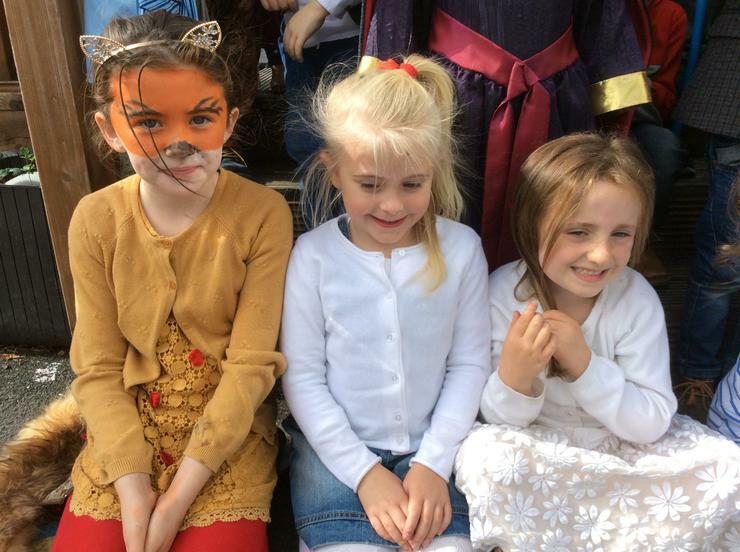 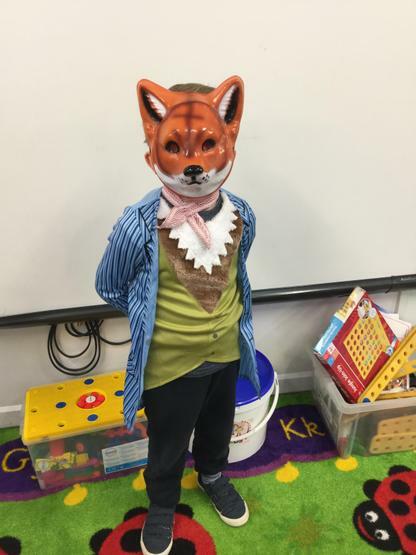 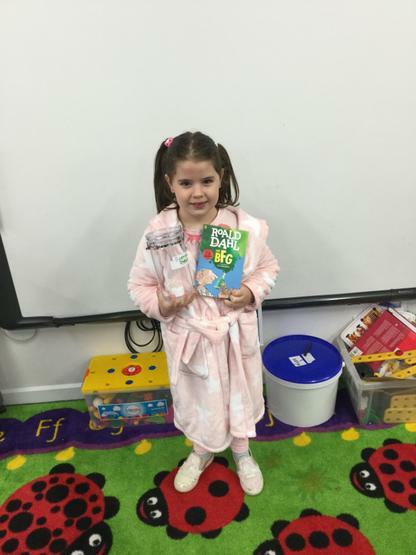 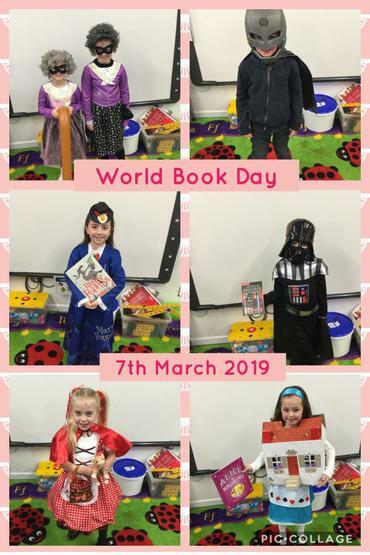 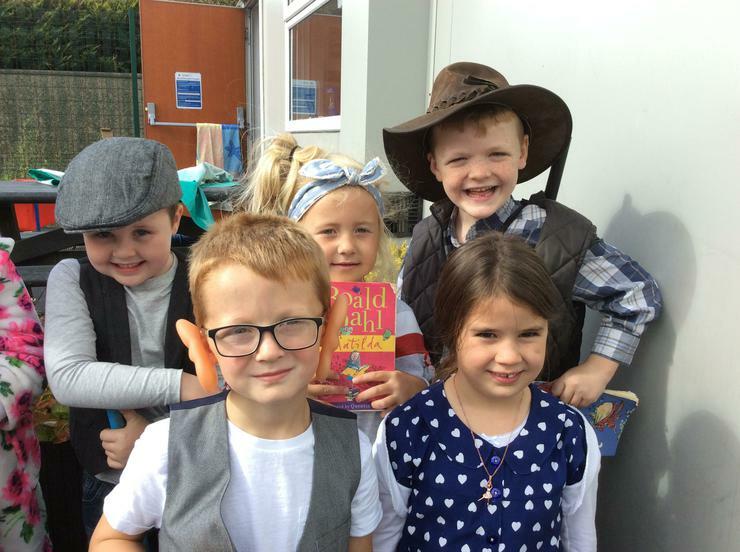 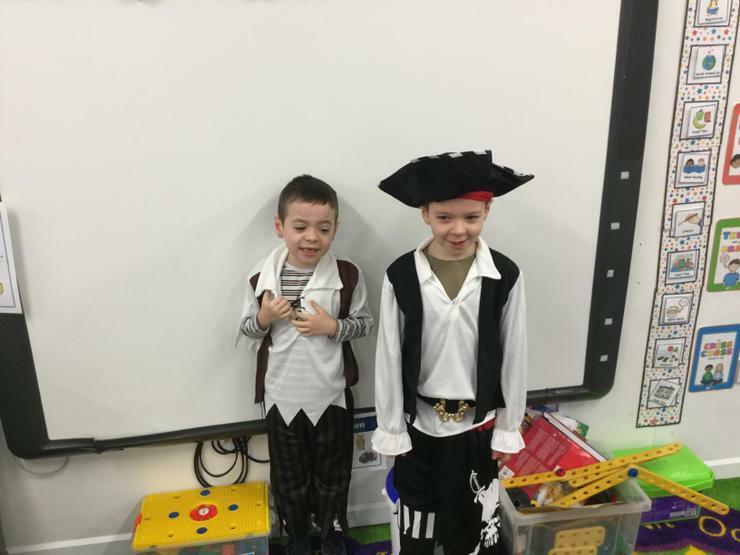 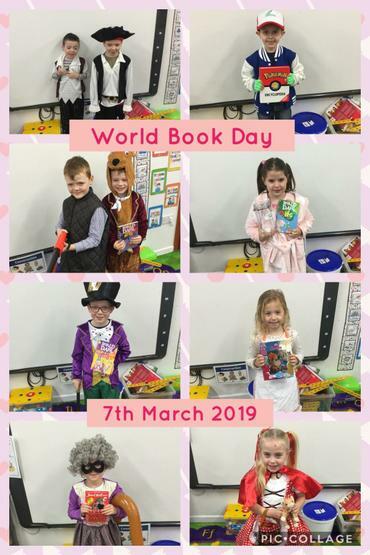 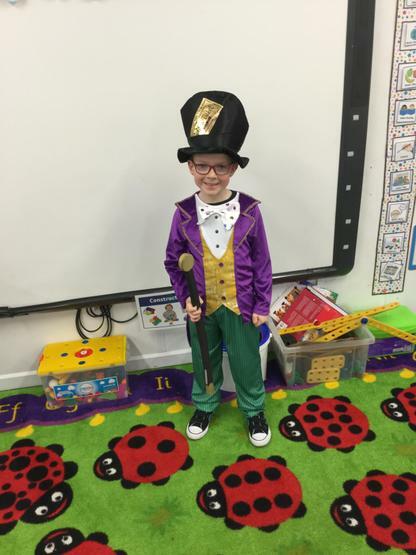 Everyoneyone looked amazing dressed as different Roald Dahl characters to celebrate Roald Dahl Day on Friday! 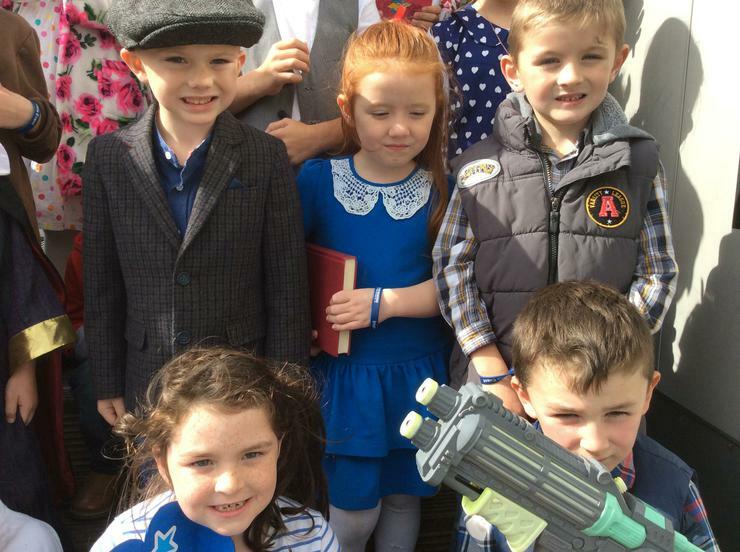 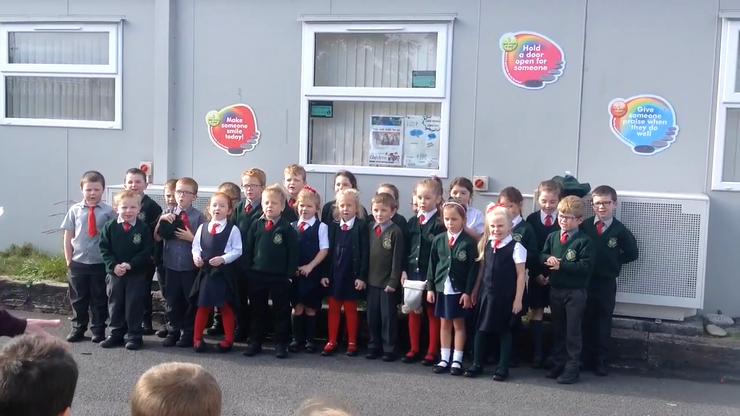 There were farmers, foxes, Matilda, George, Charlie and Sophie. 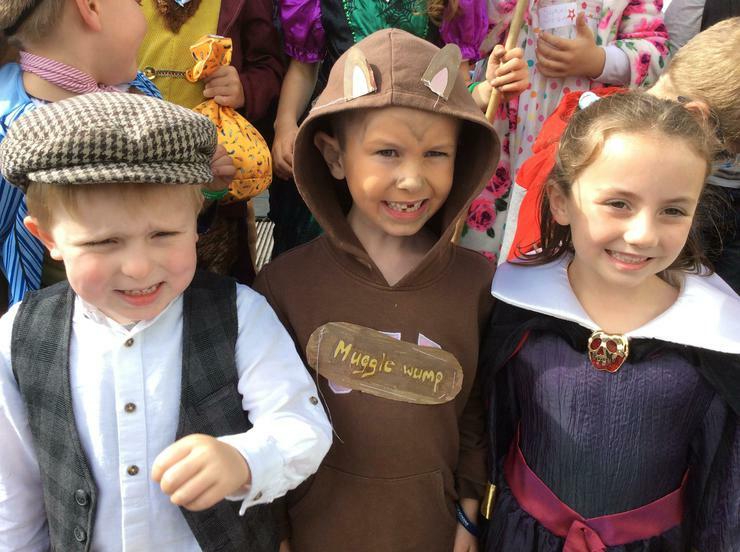 The BFG even made an appearance! 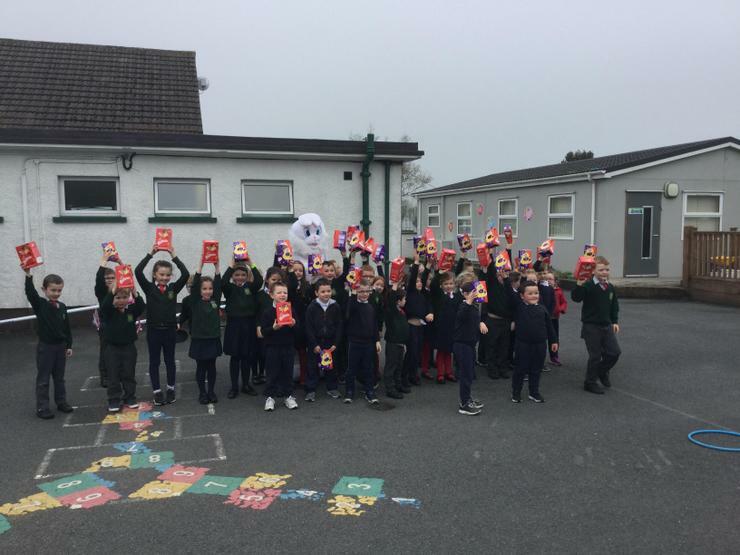 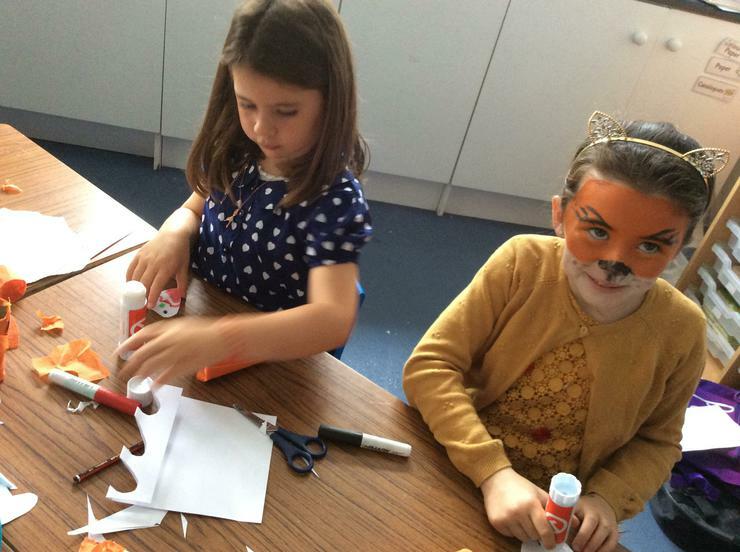 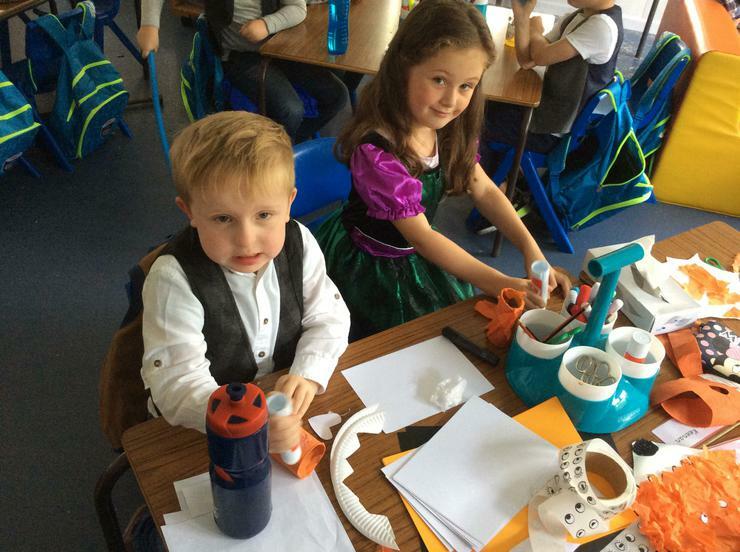 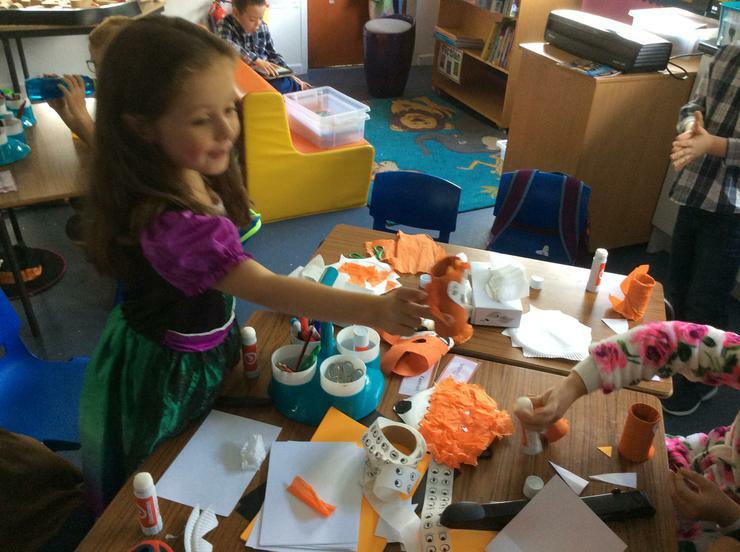 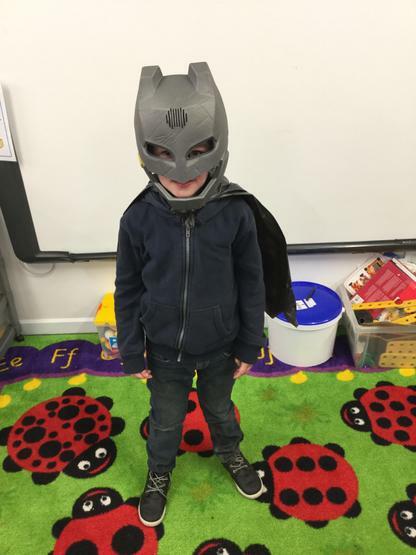 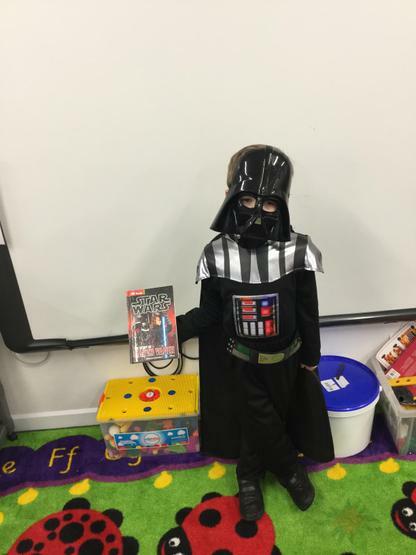 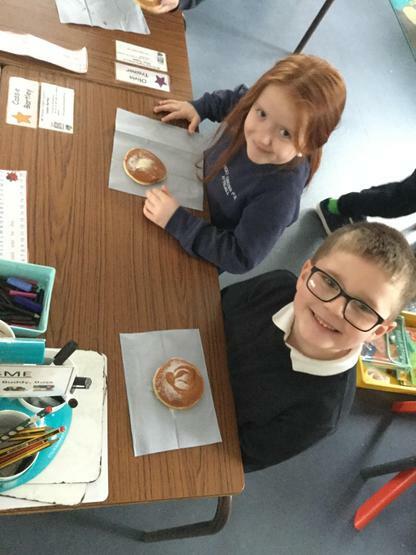 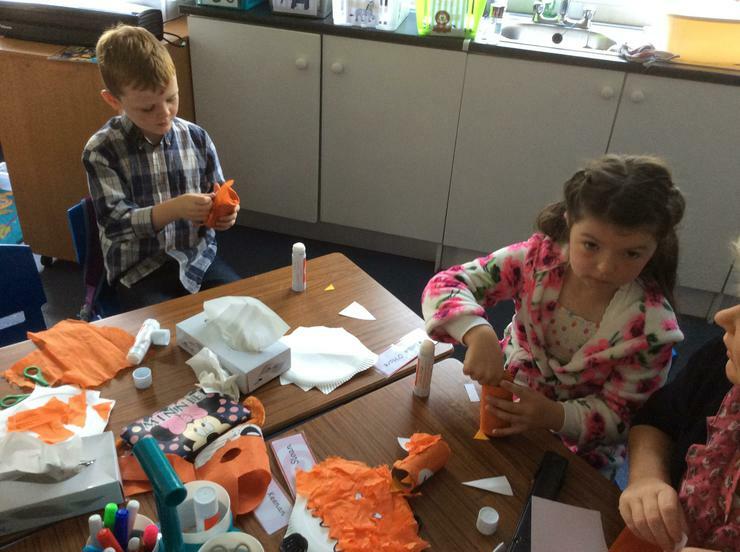 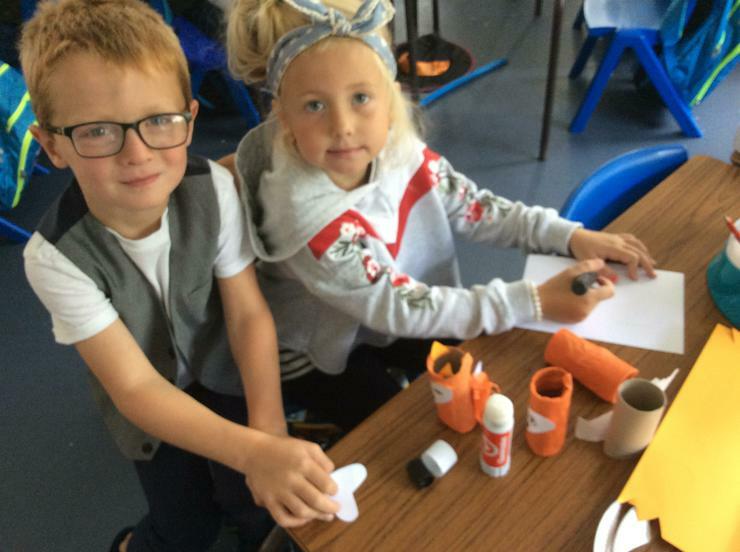 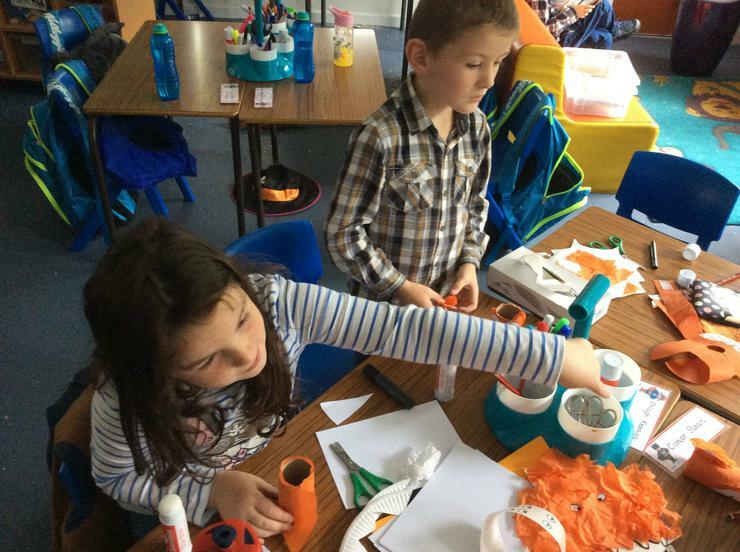 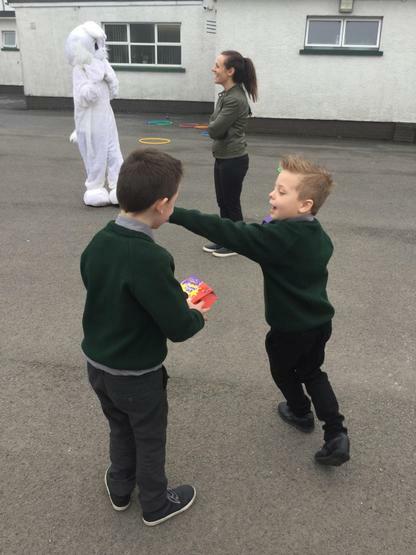 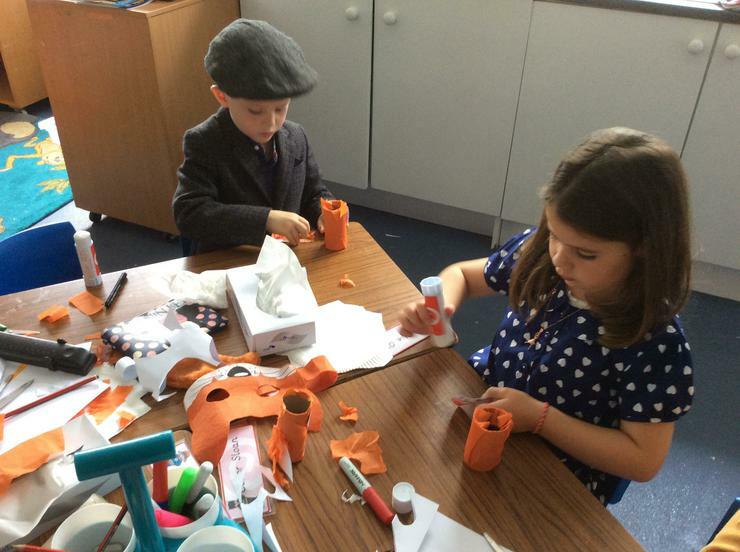 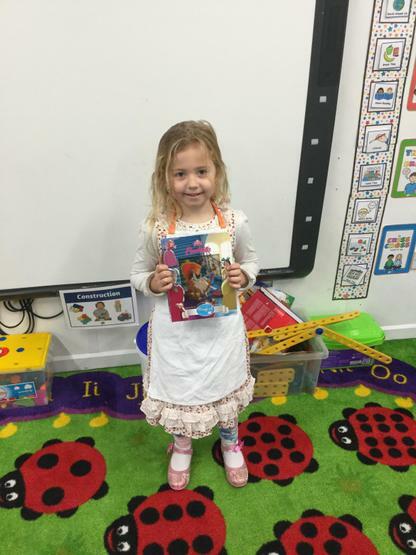 The children enjoyed completing fun character related craft activities. 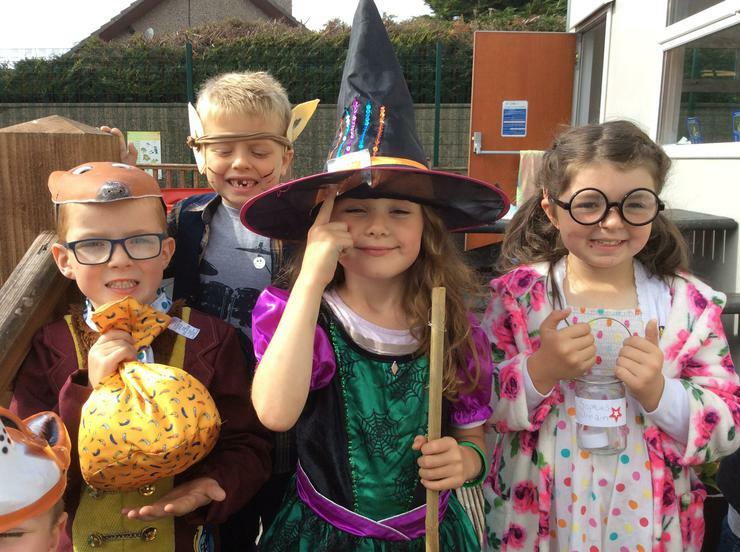 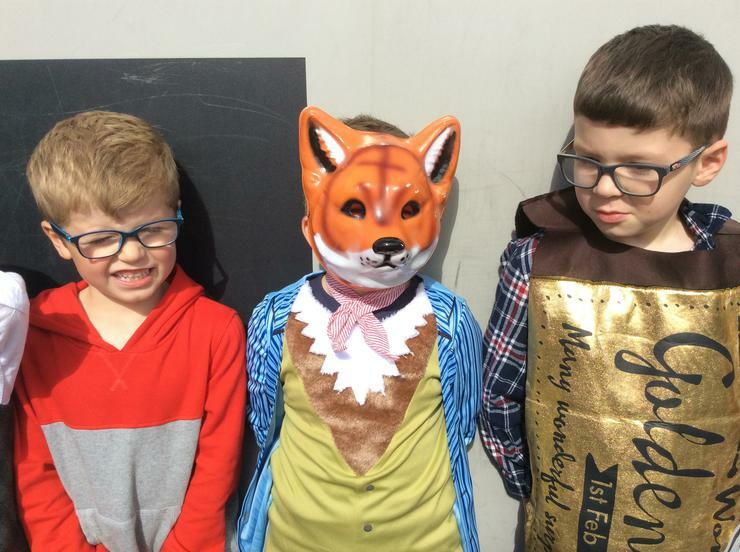 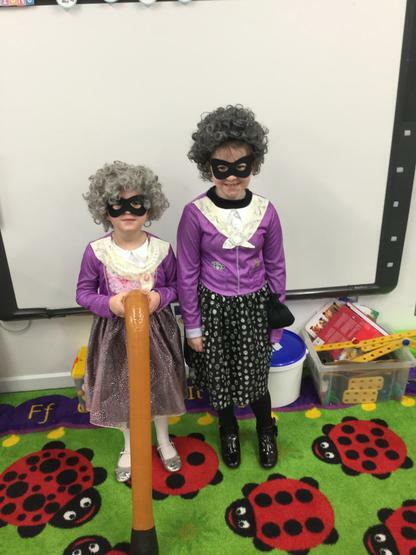 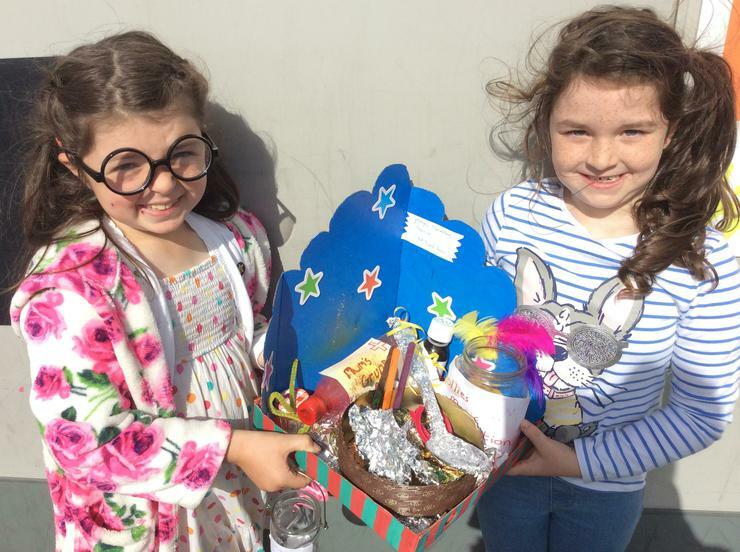 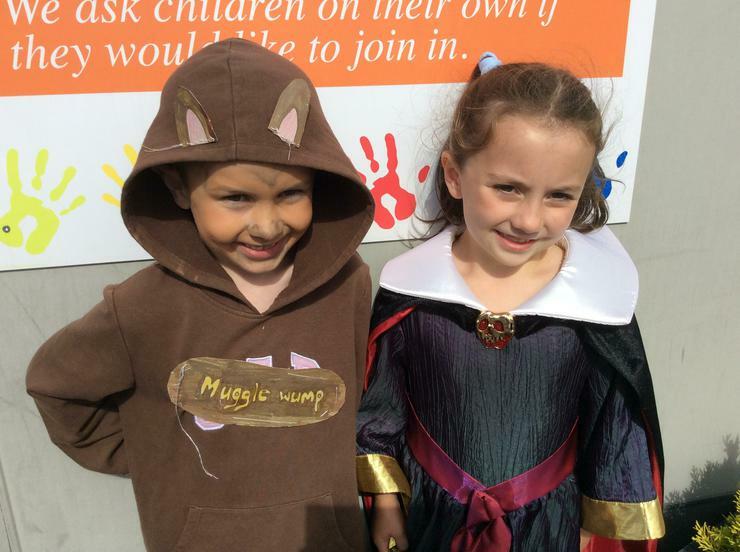 Can you name the Roald Dahl Characters? 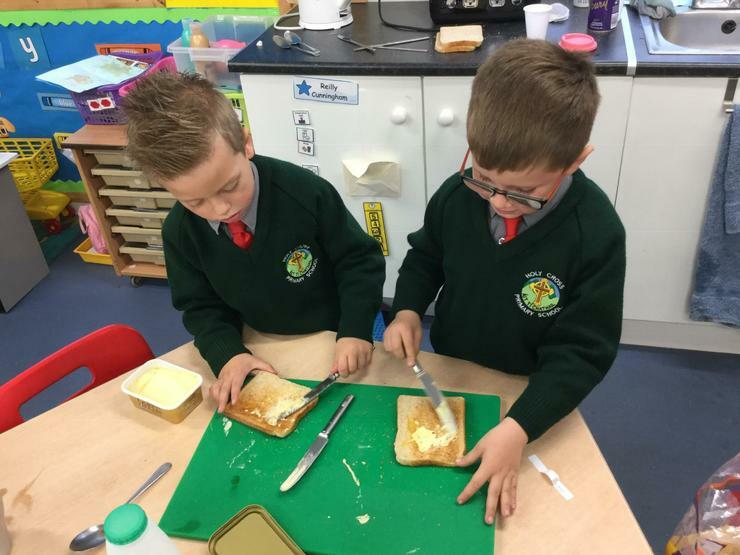 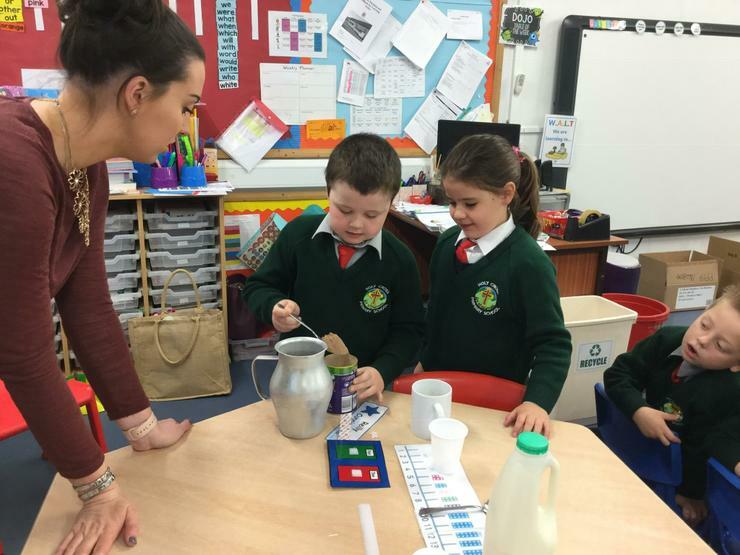 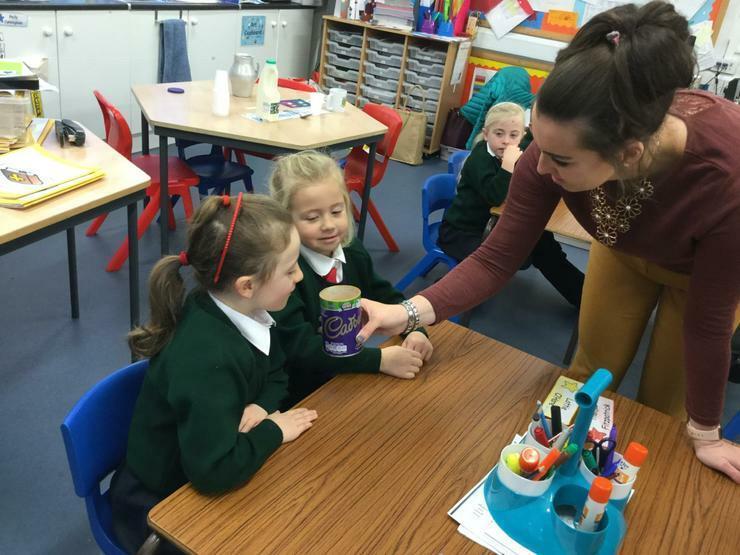 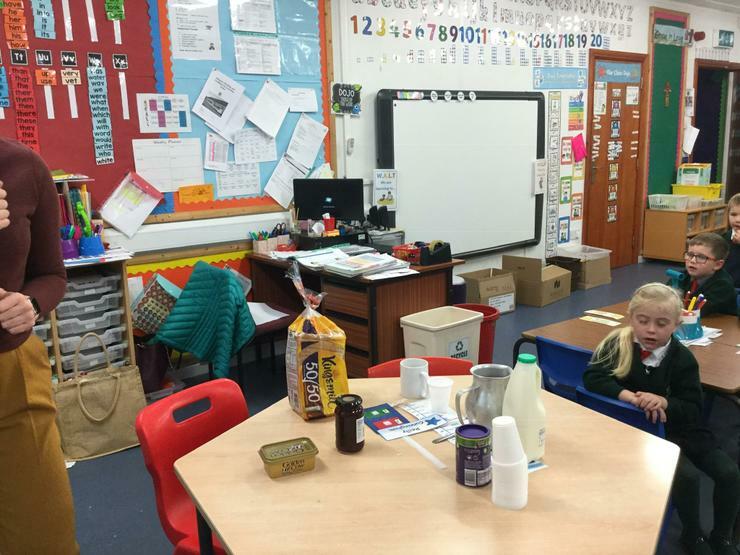 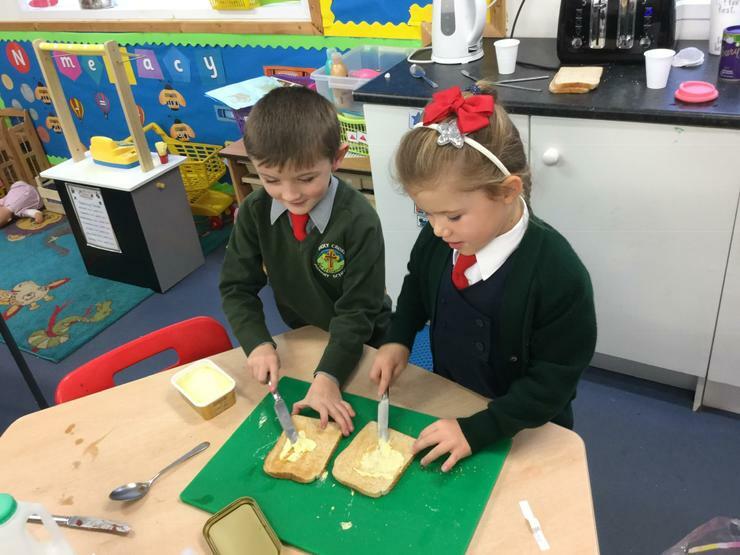 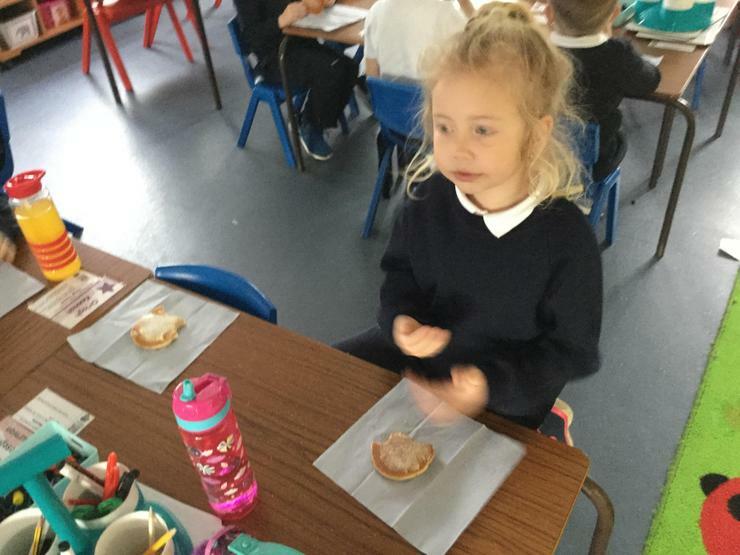 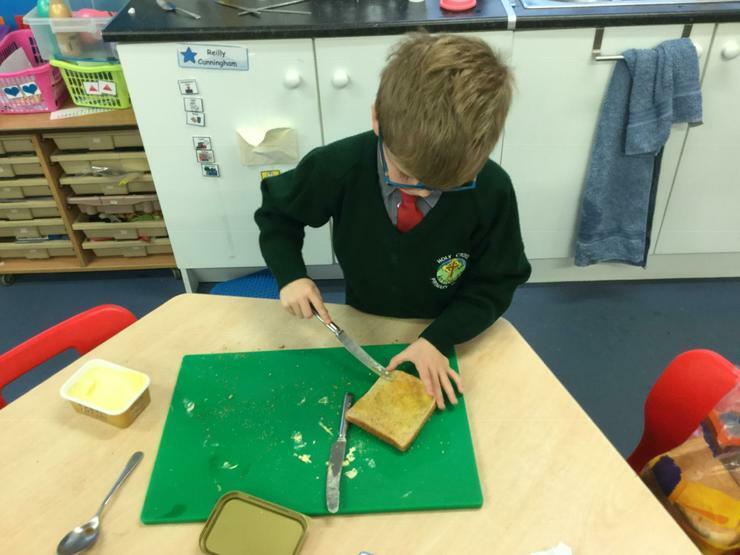 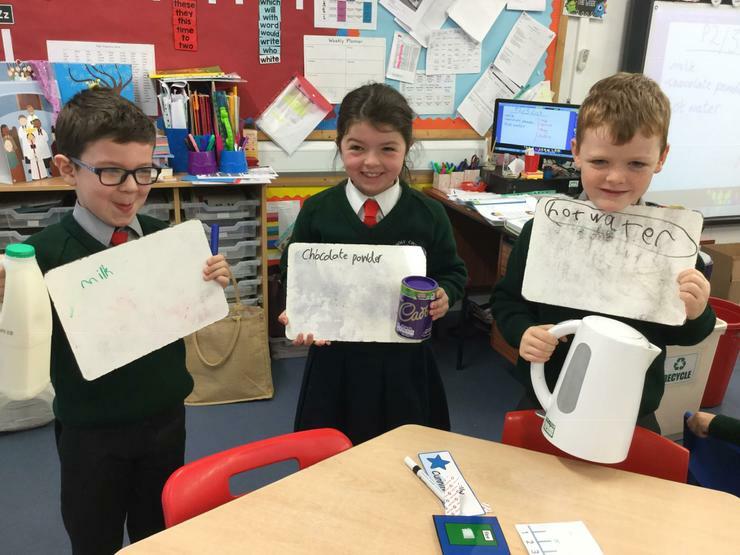 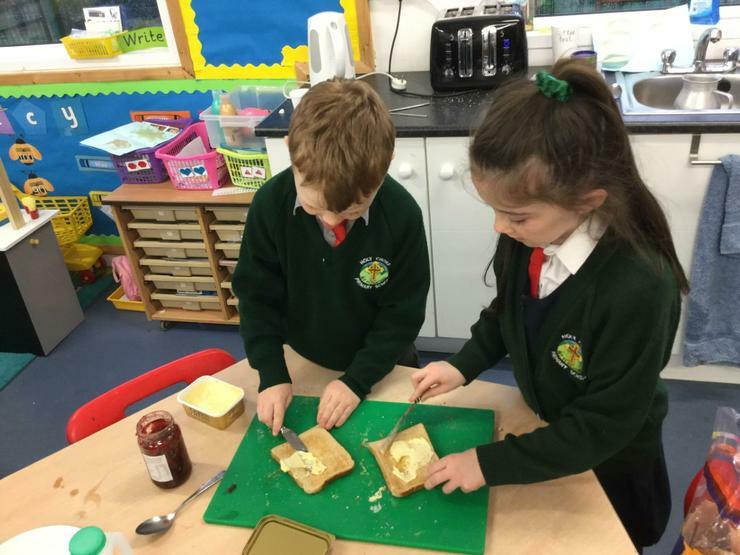 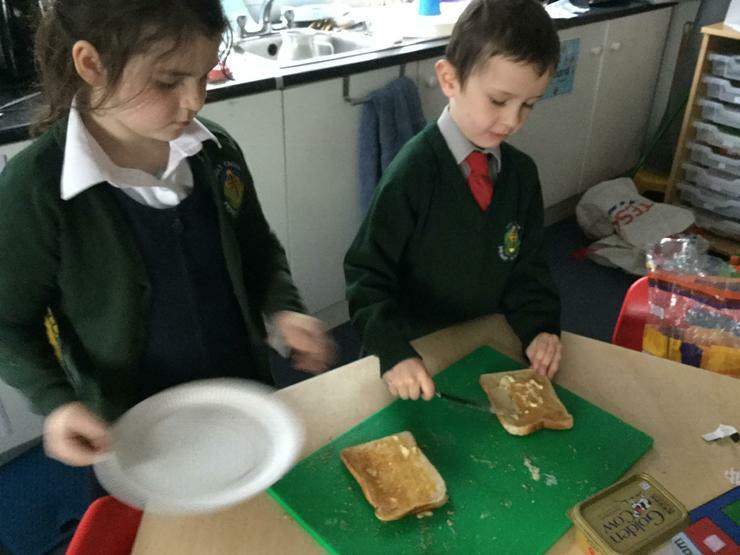 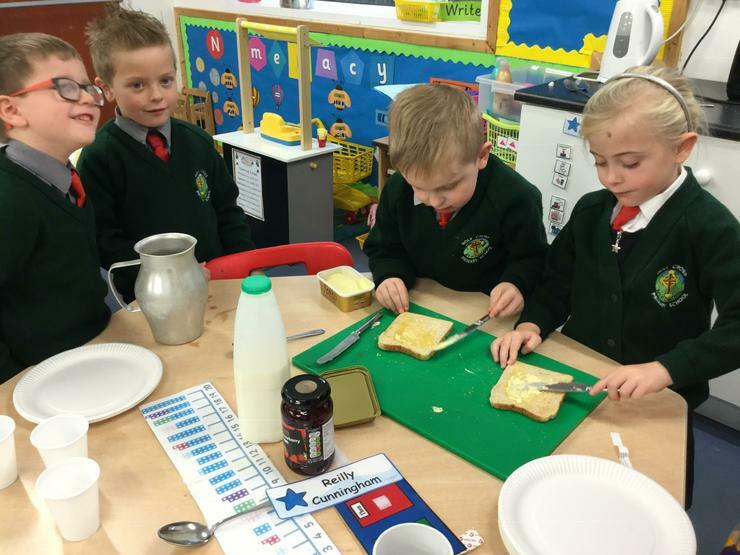 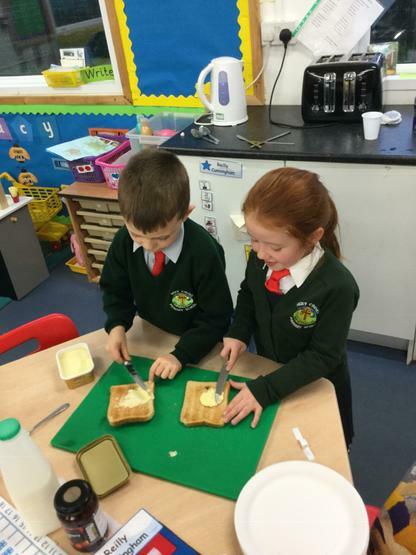 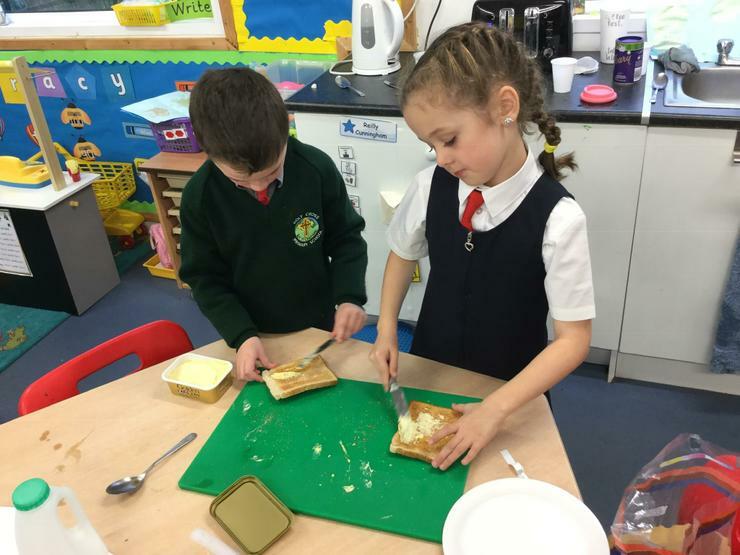 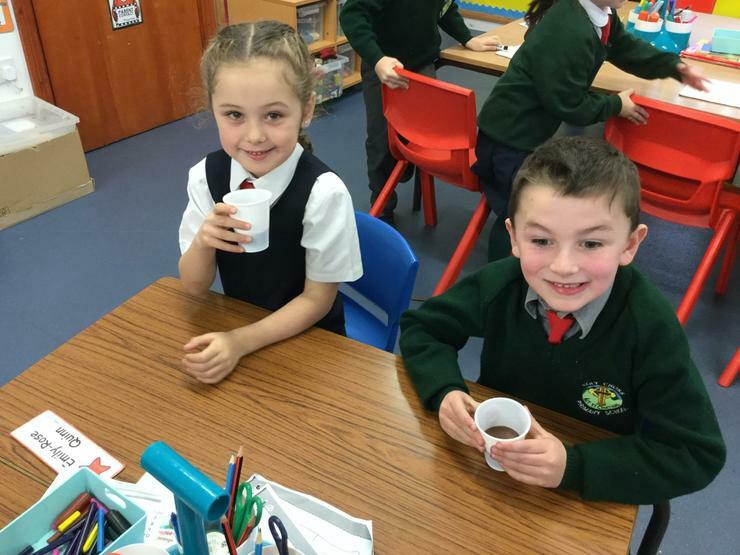 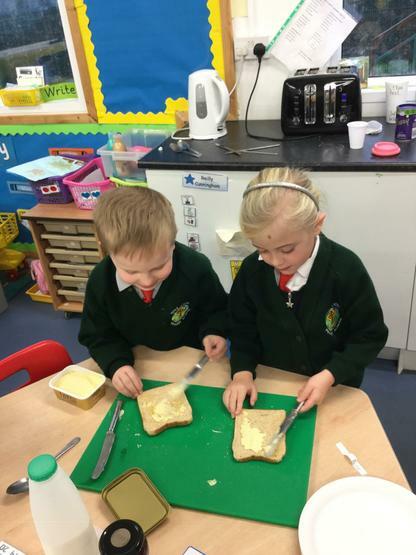 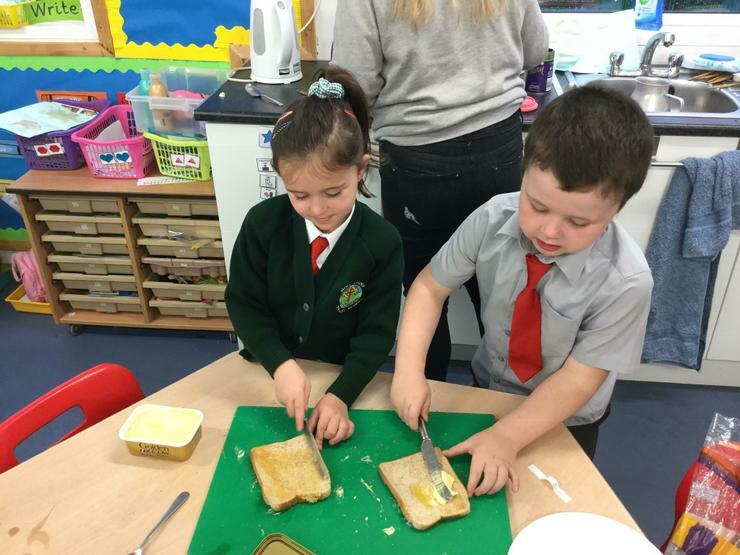 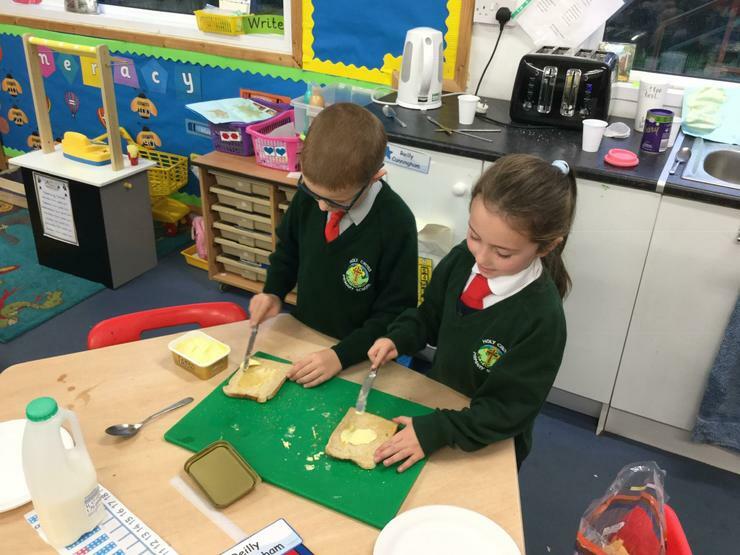 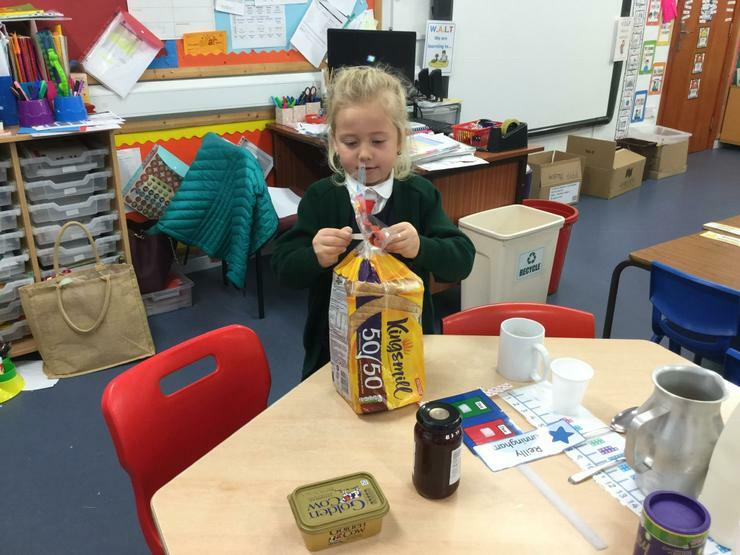 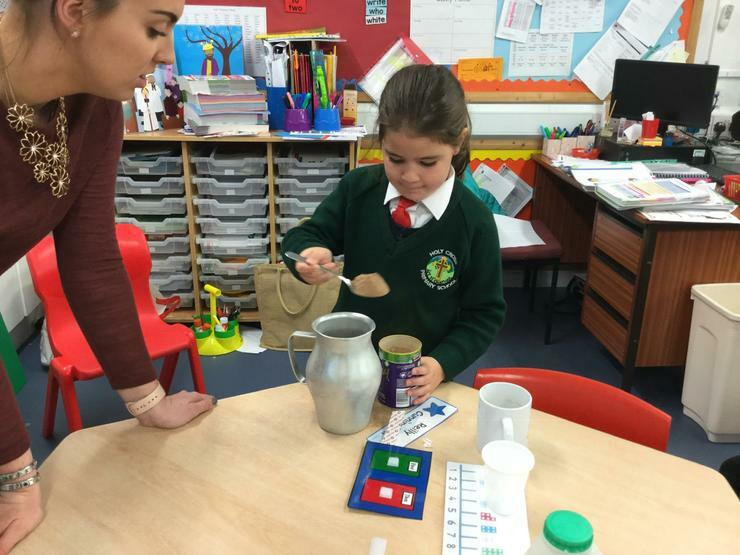 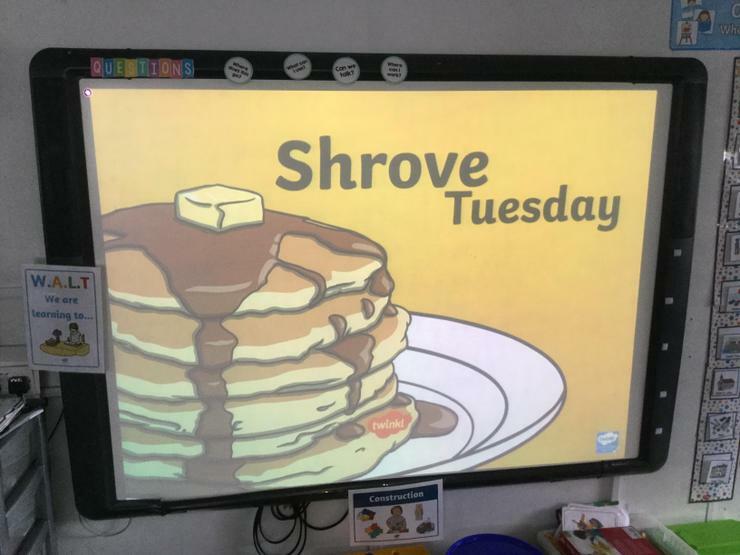 We are learning about instructional text with tea, toast and hot chocolate. 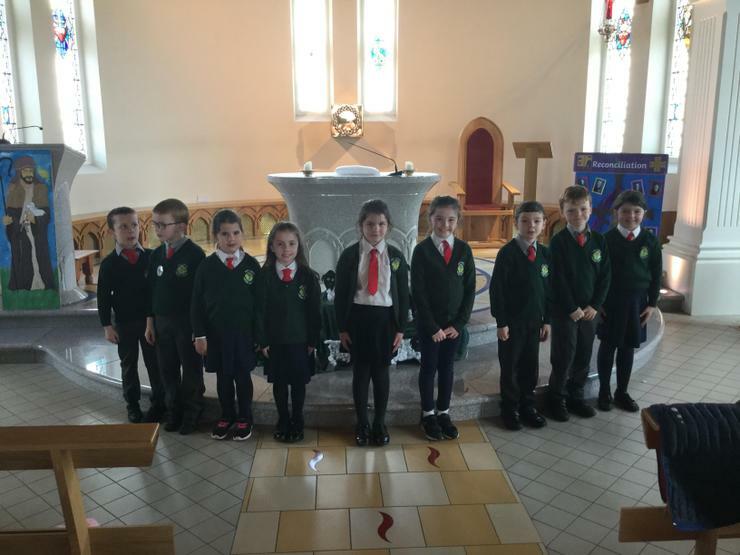 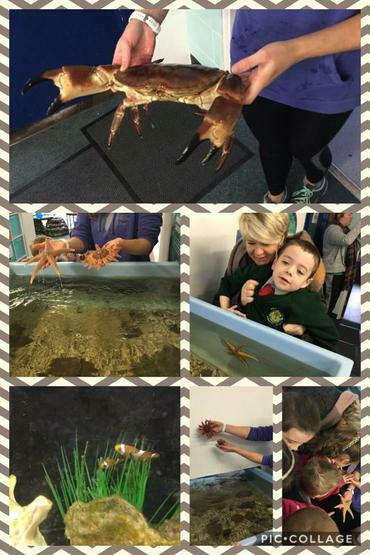 We had a great day at Seascope NI Kilkeel. 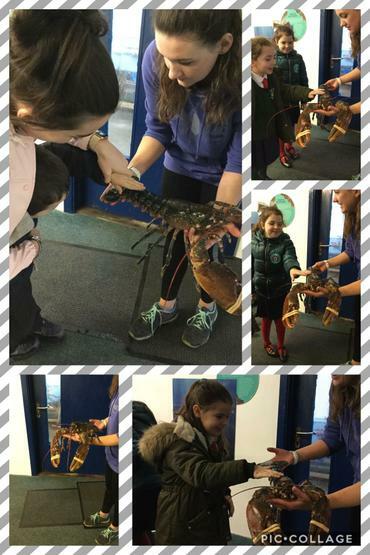 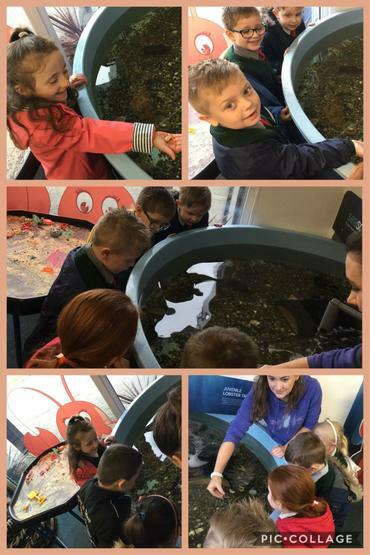 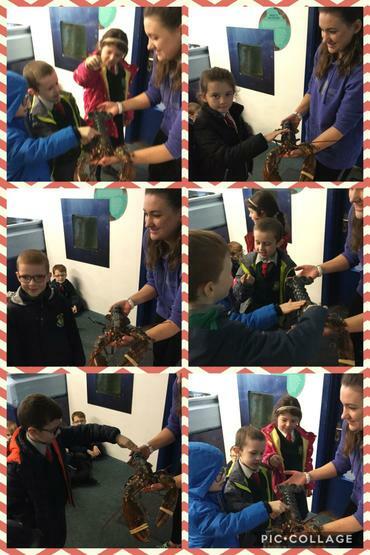 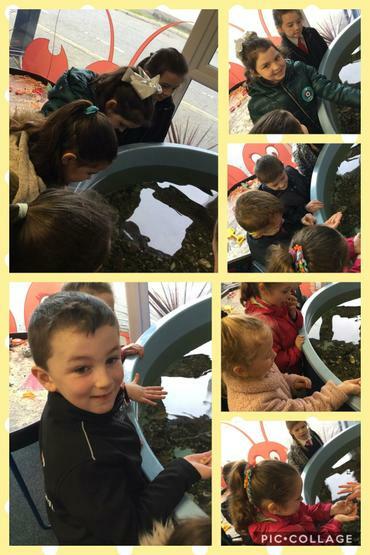 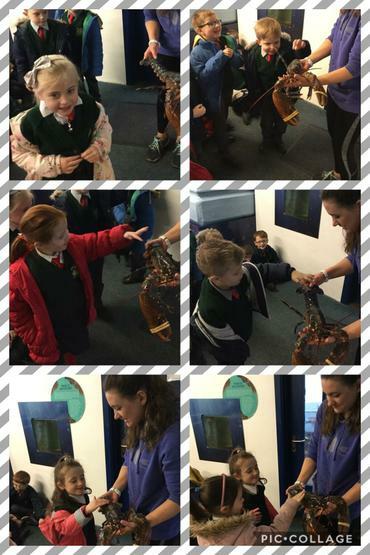 We got to see a range of crabs, fish and even got to hold a Lobster and some starfish. 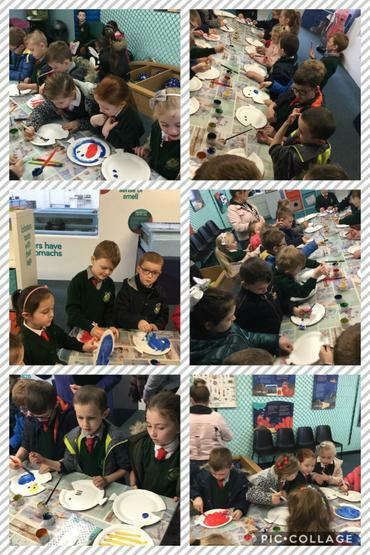 During our trip we got to create our own fish for our display and we even got free pencils. 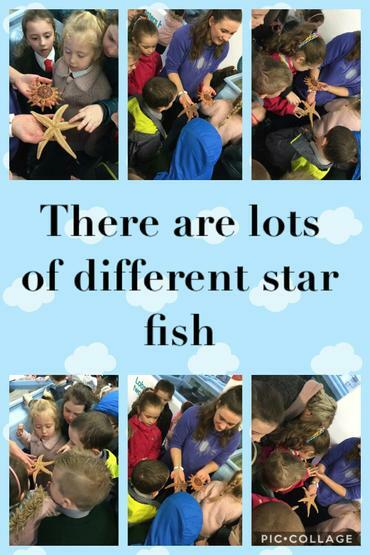 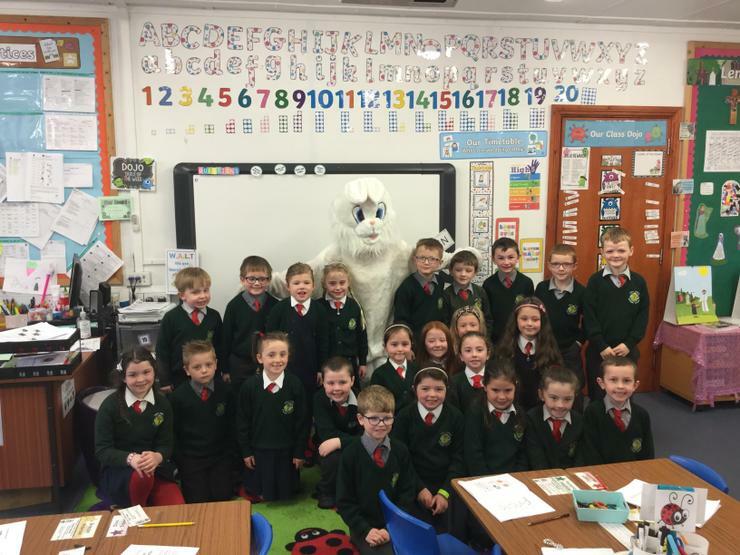 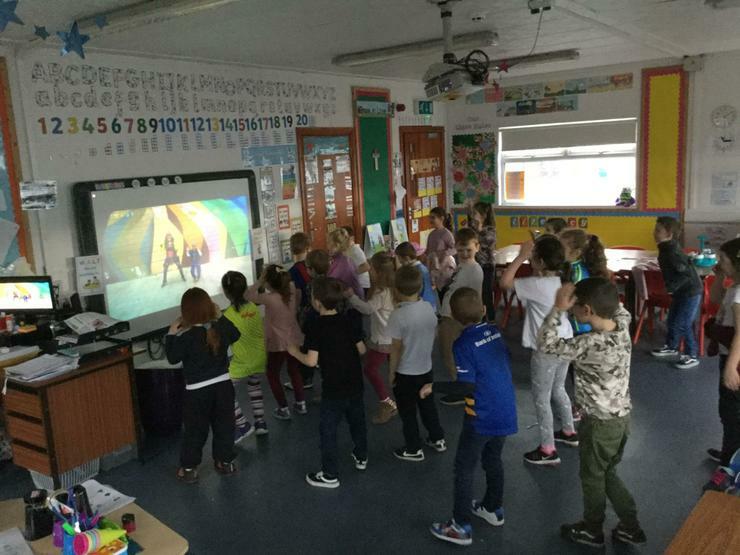 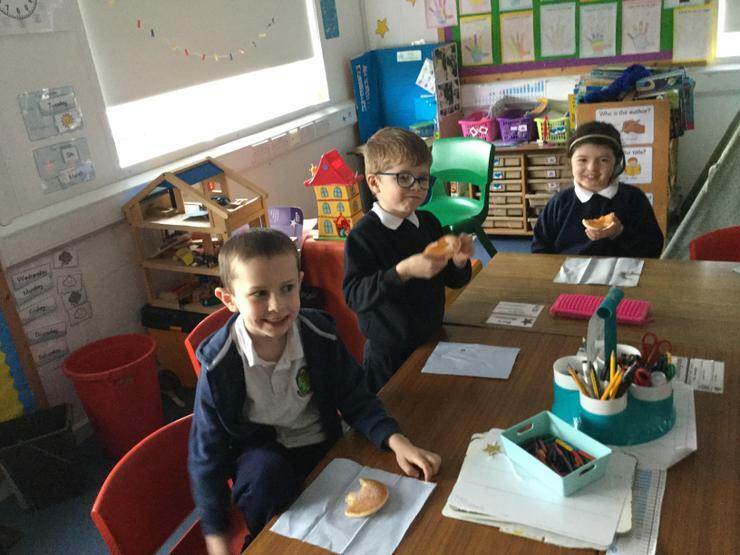 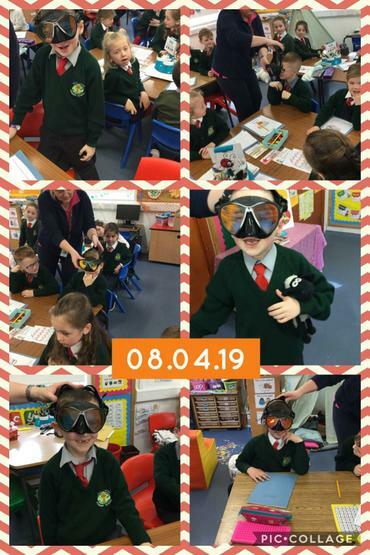 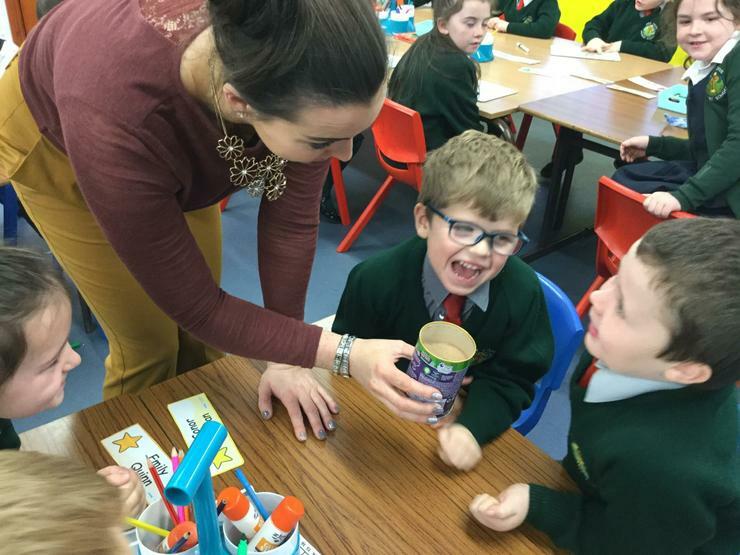 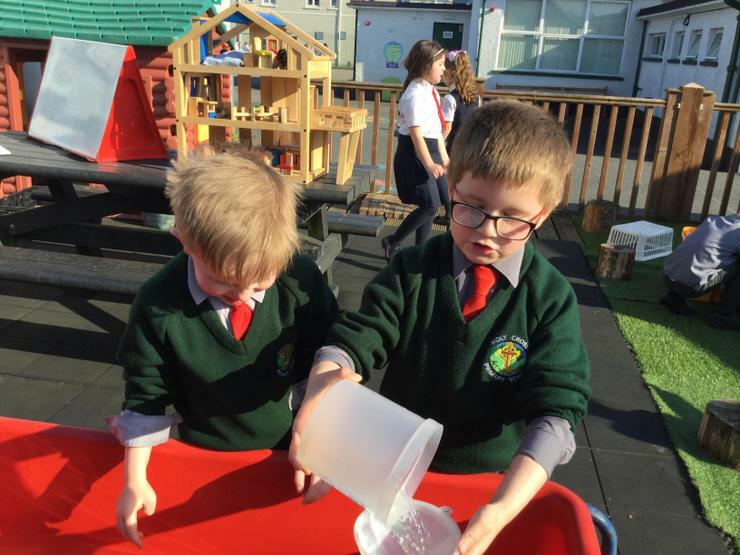 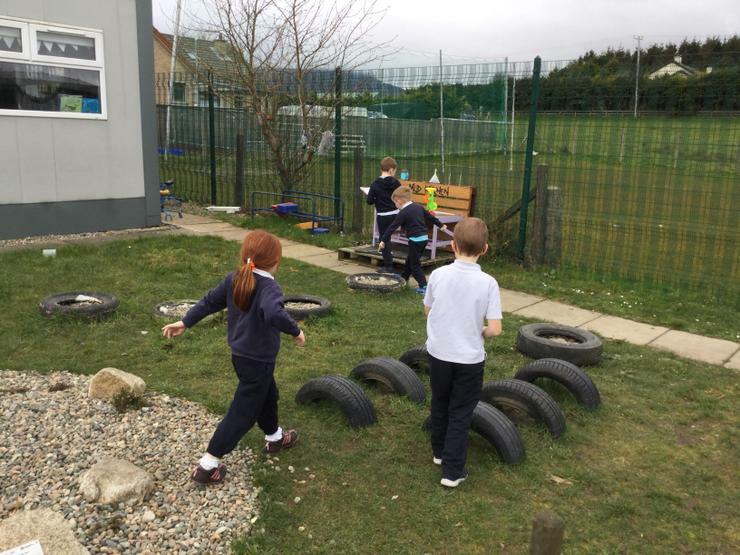 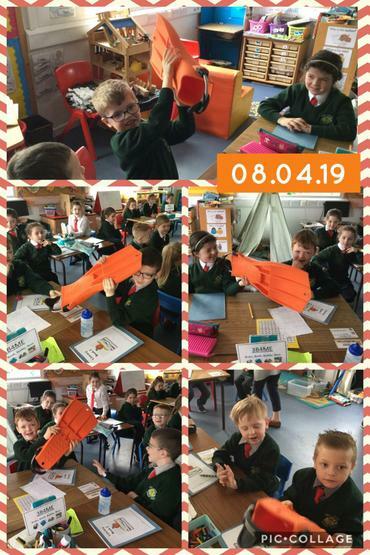 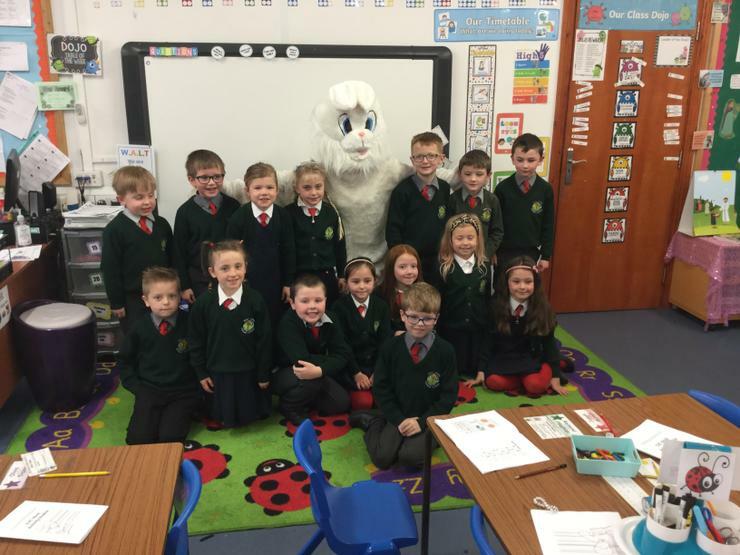 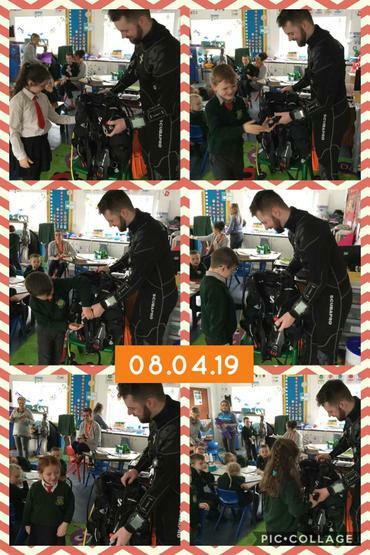 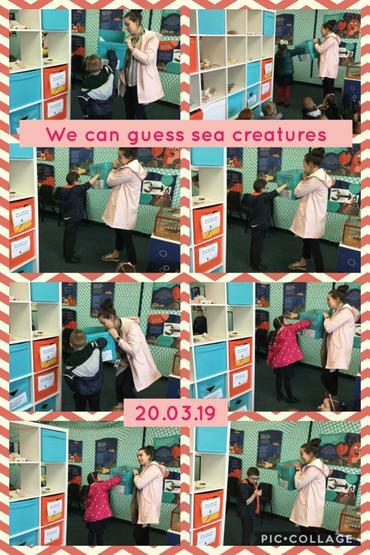 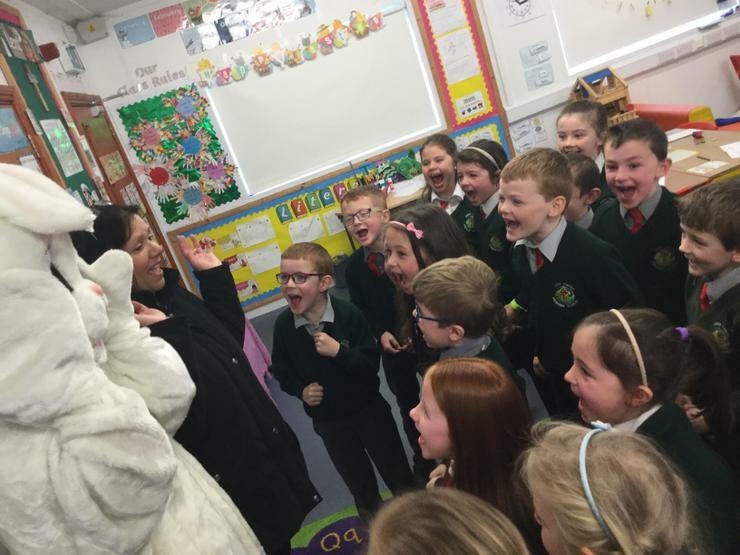 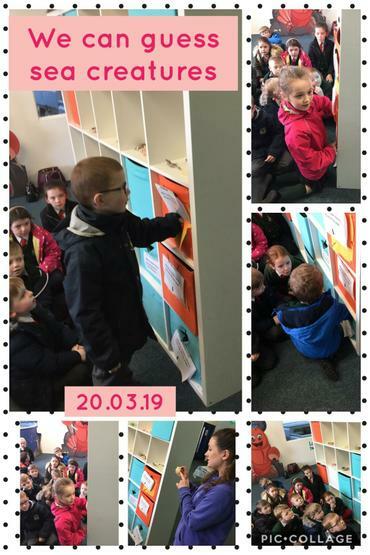 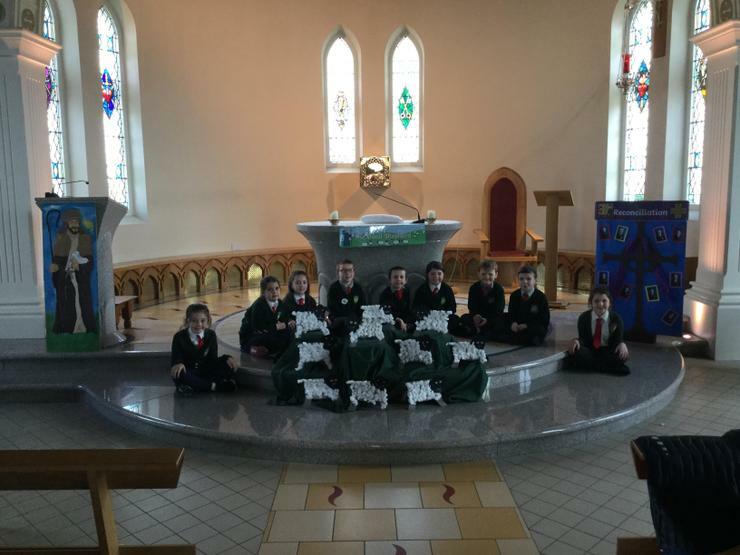 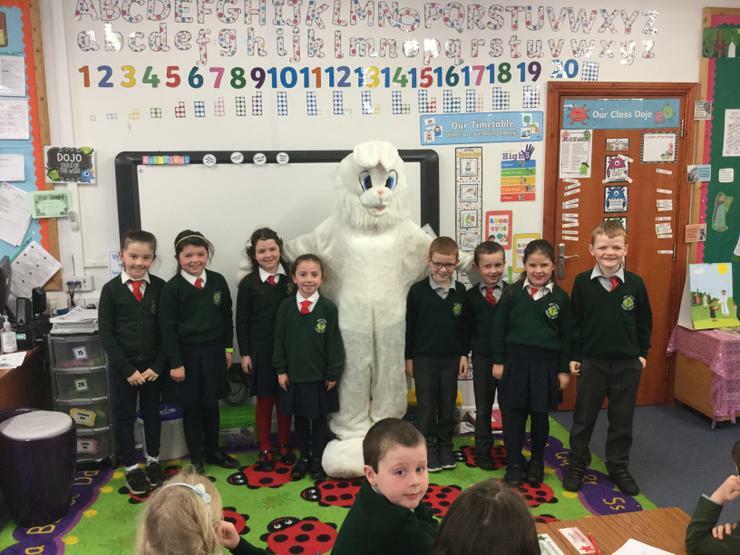 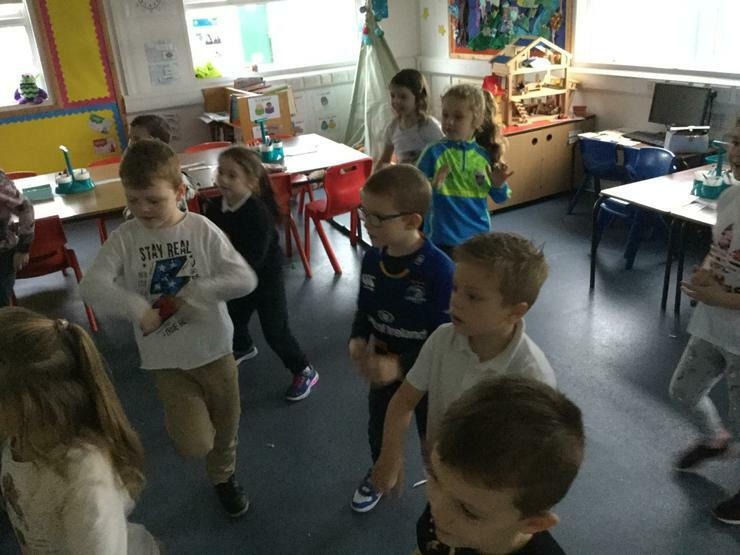 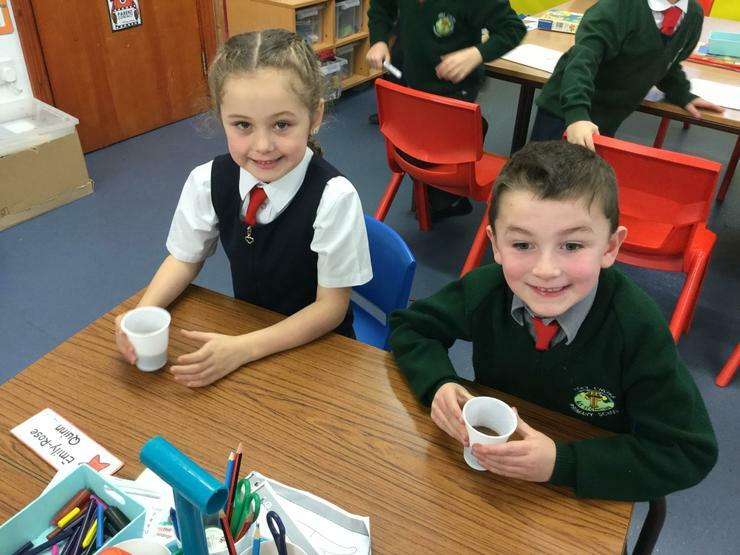 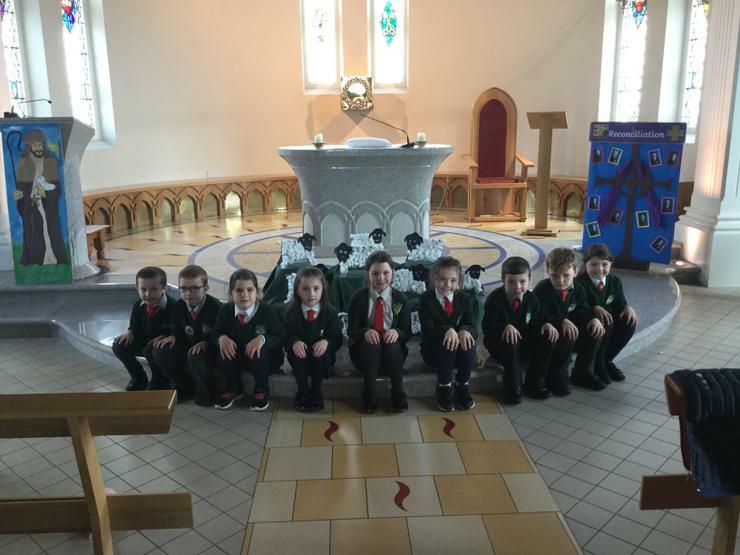 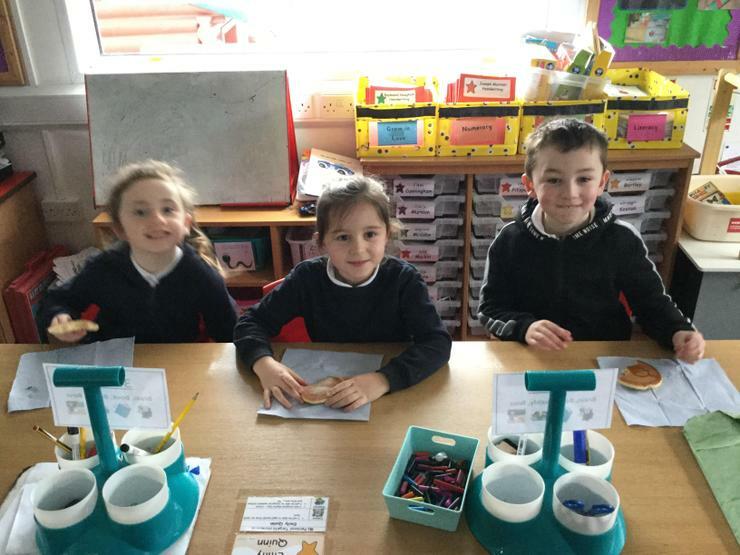 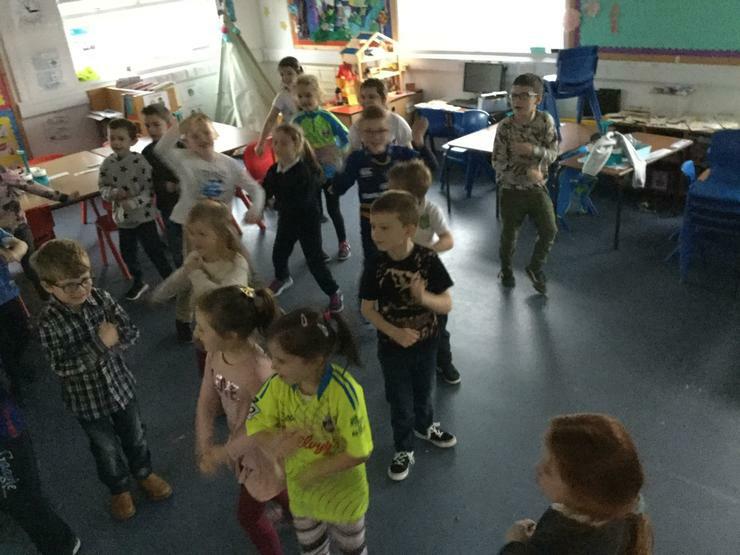 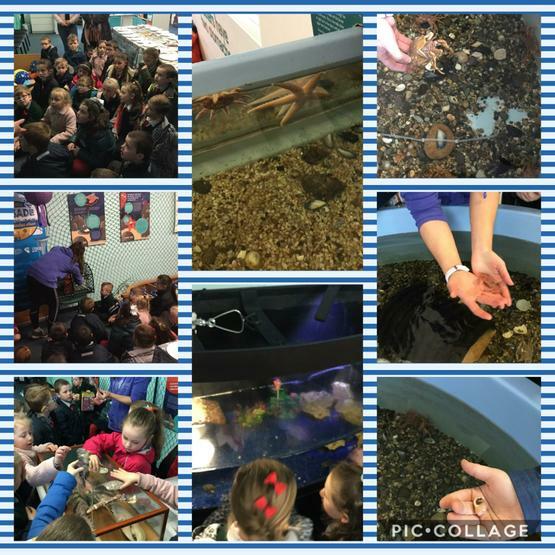 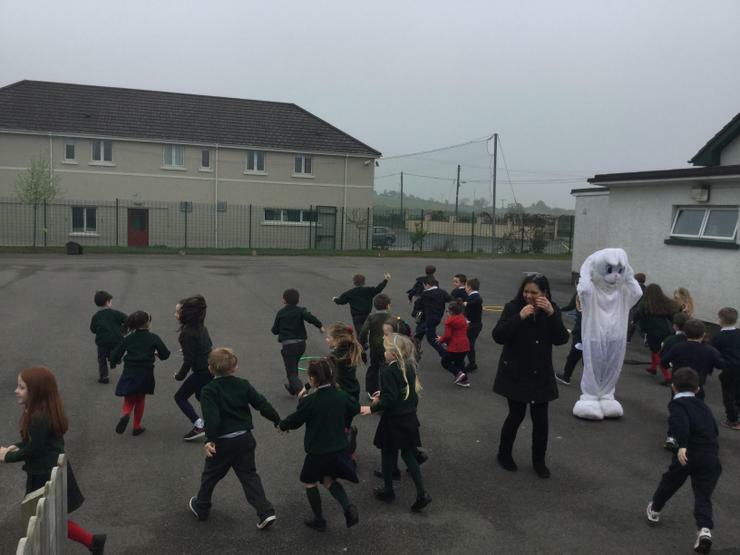 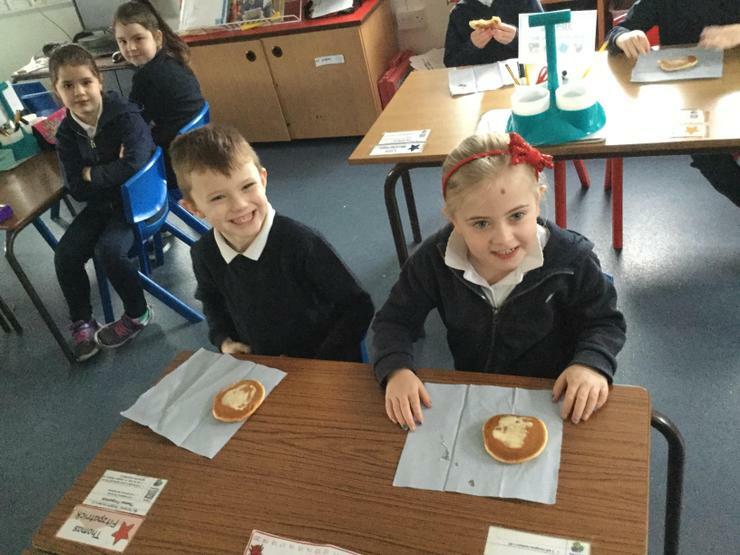 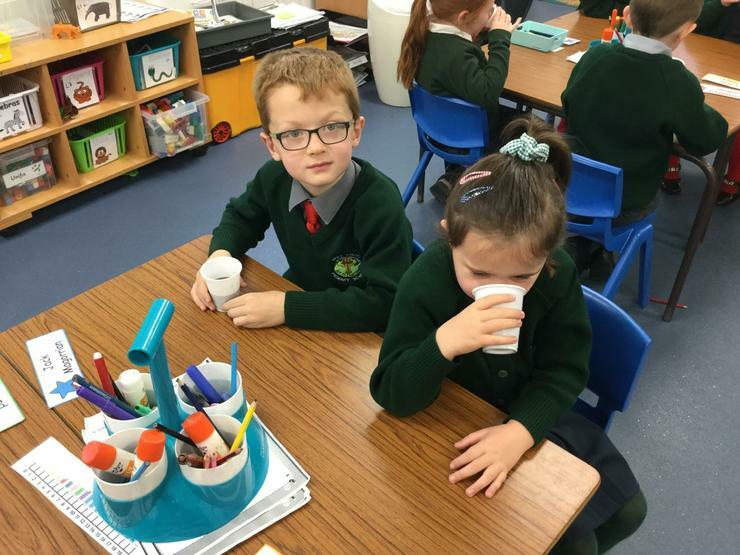 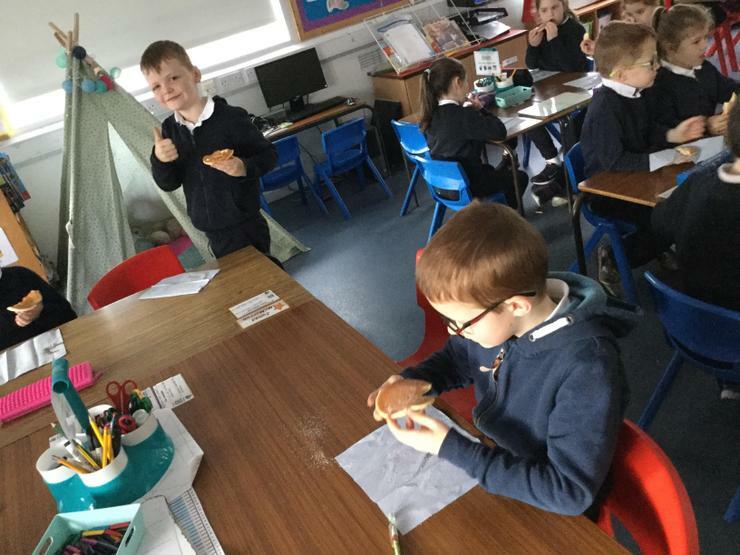 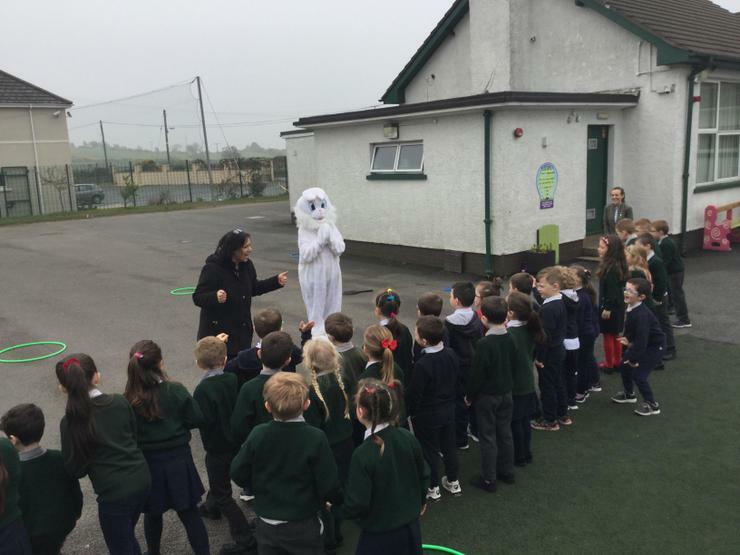 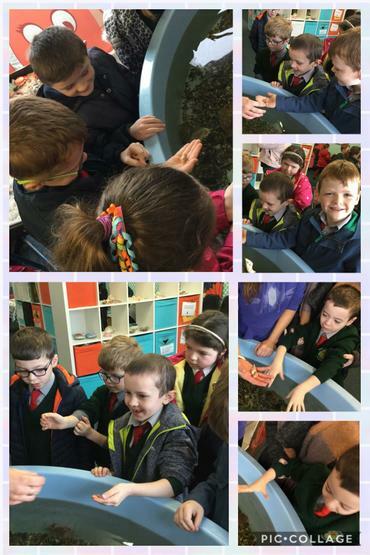 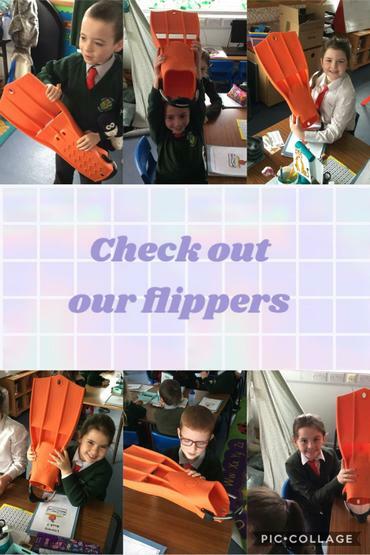 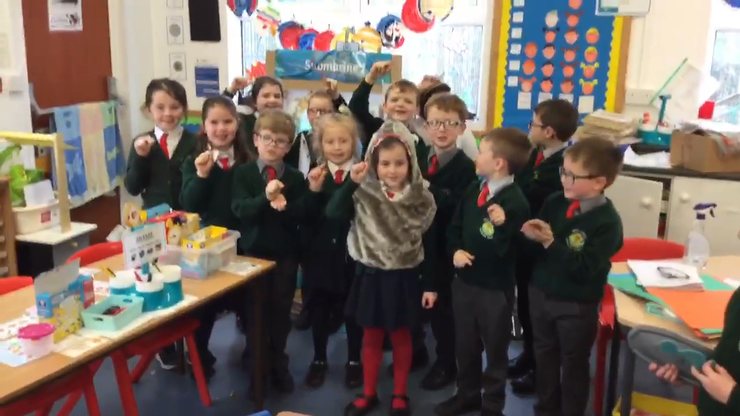 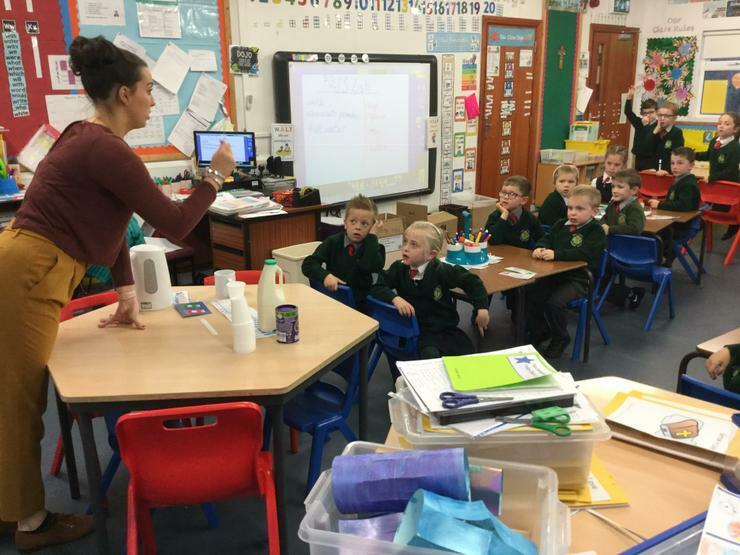 We had a lots of fun learning about under the sea and sea creatures that can be found in Kilkeel and Northern Ireland. 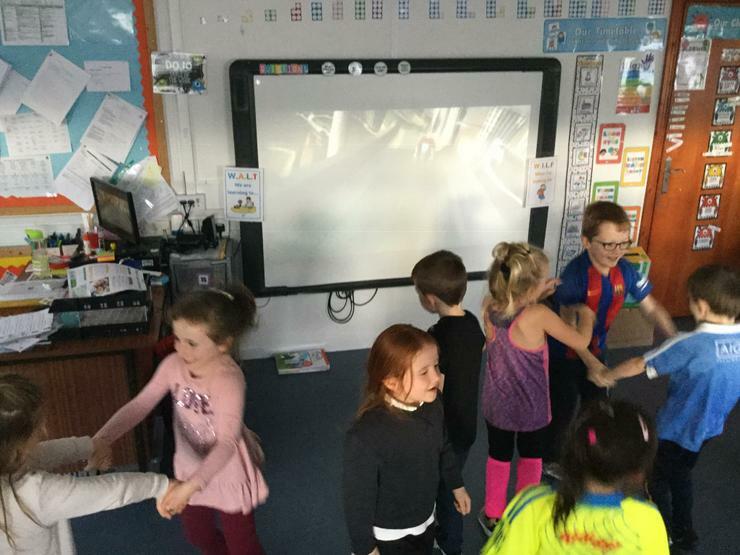 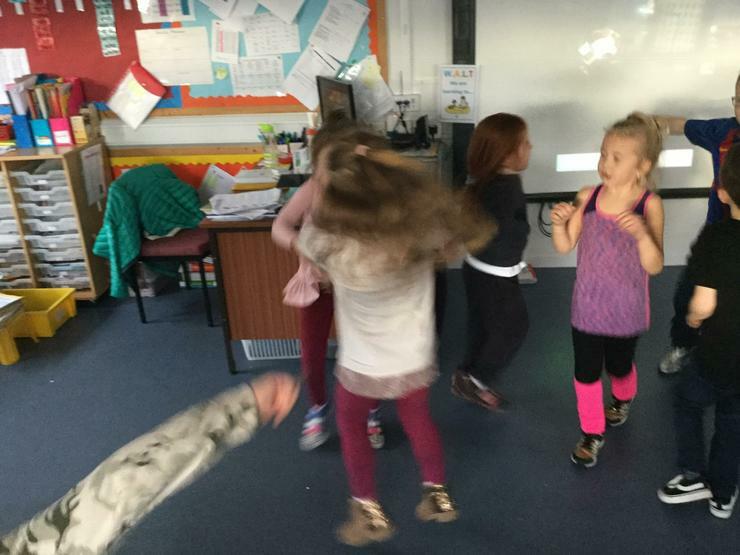 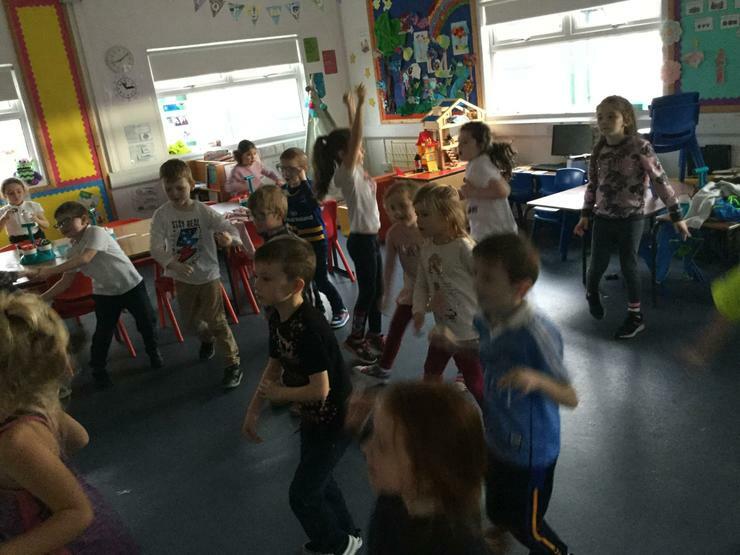 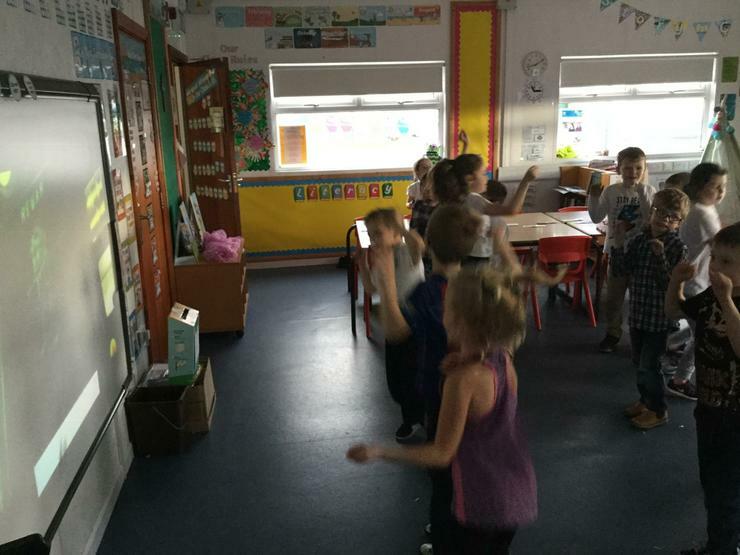 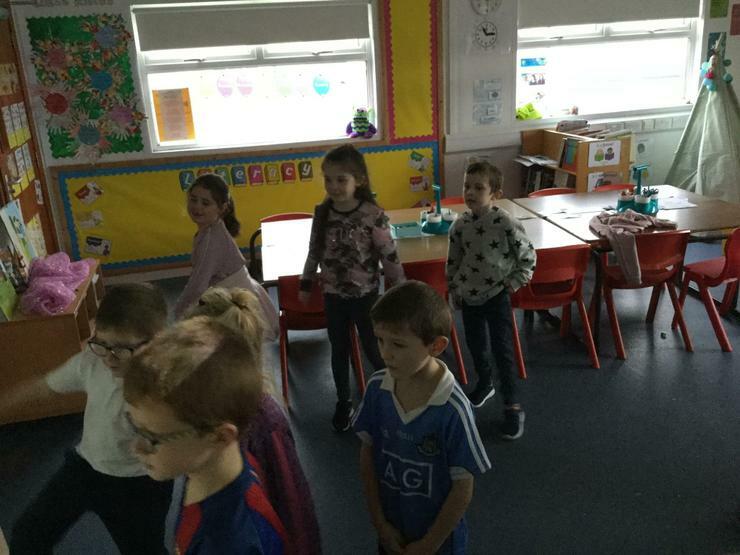 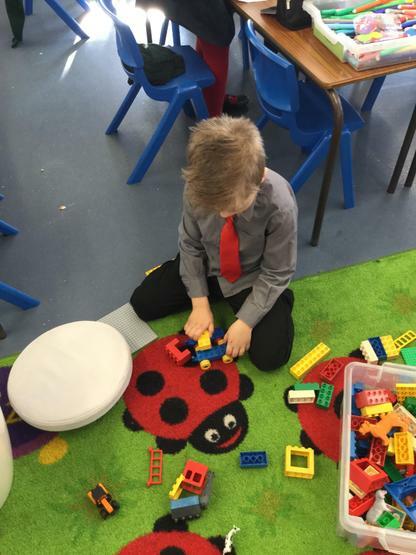 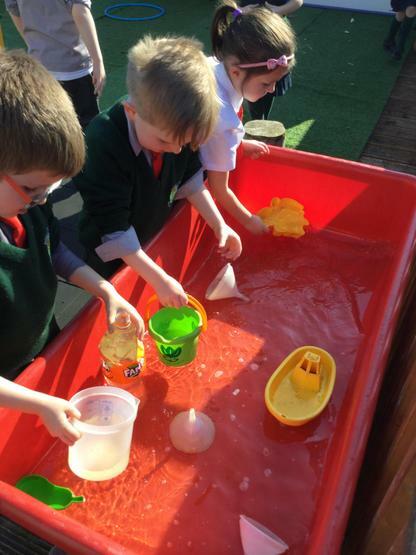 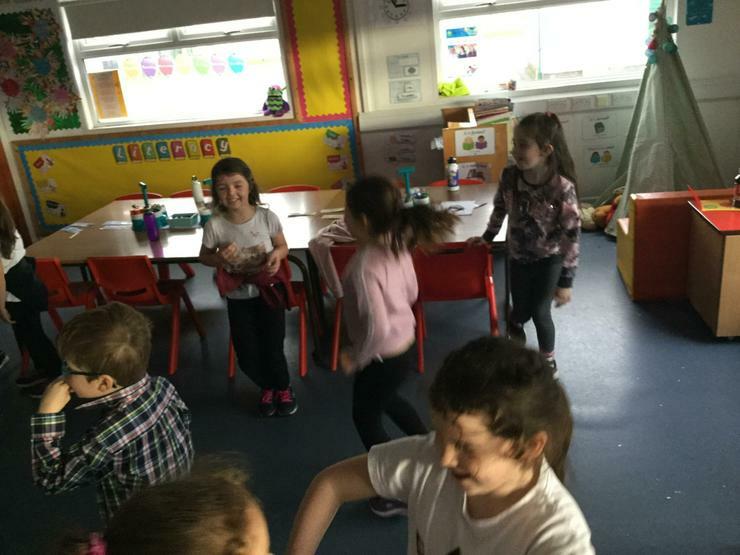 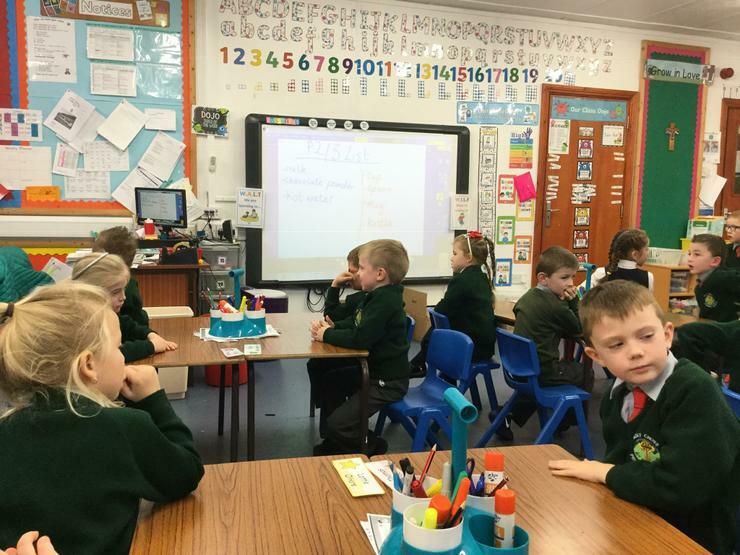 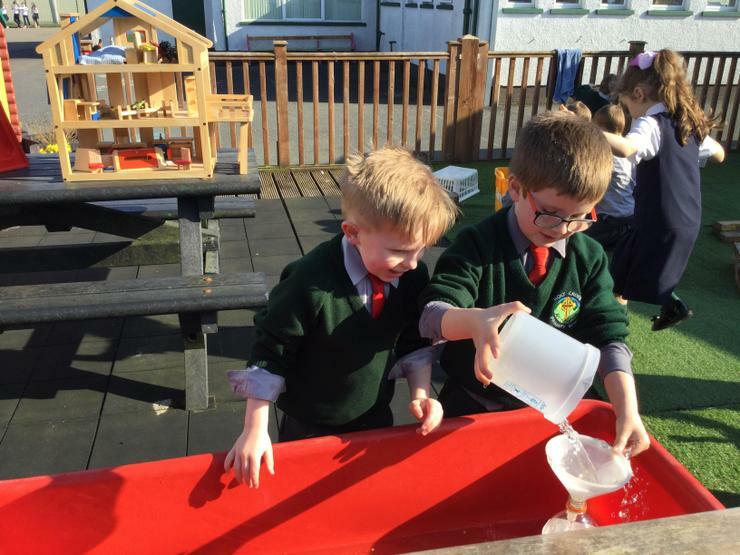 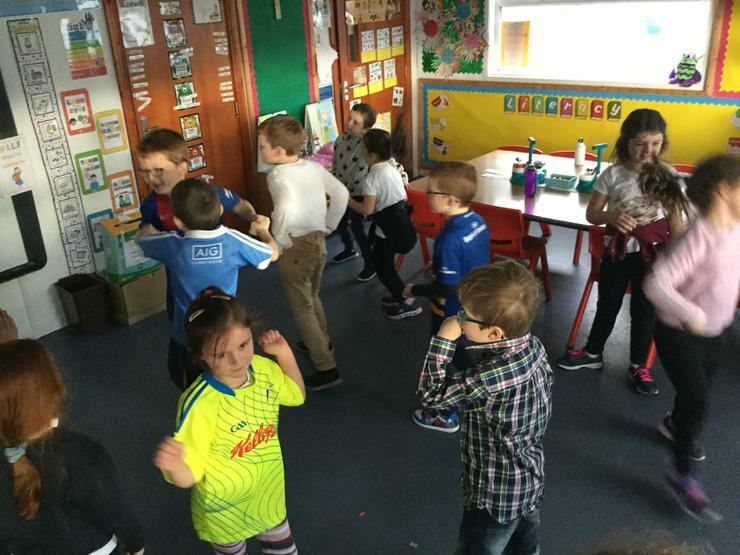 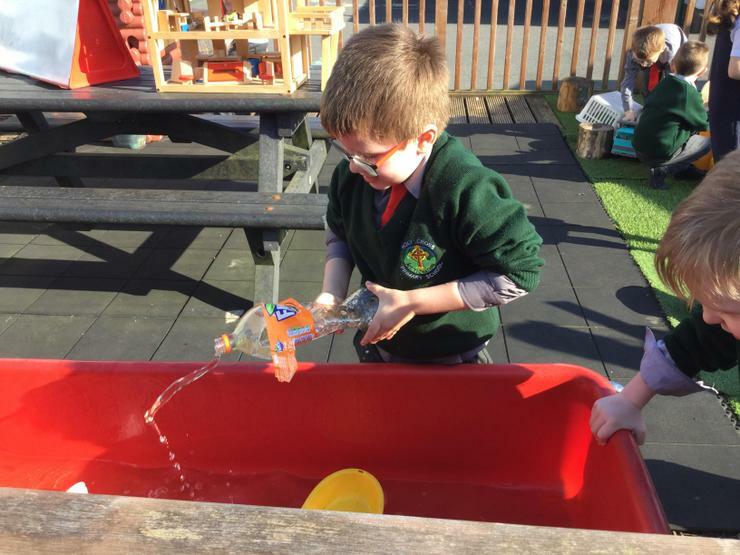 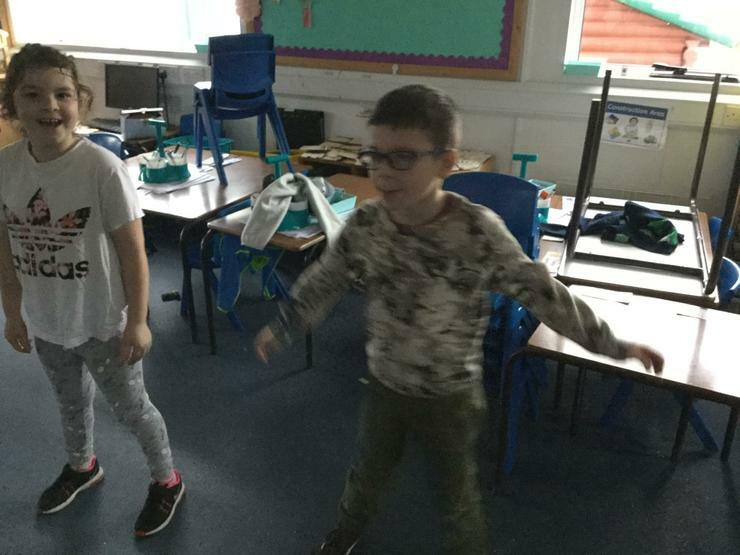 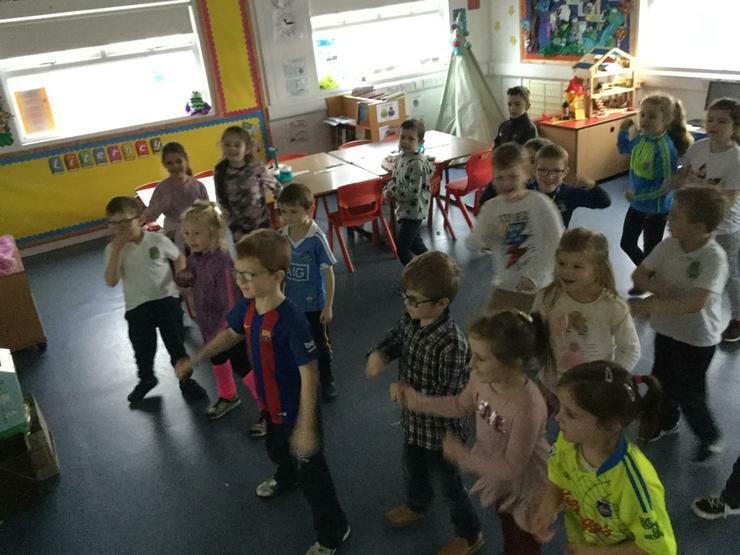 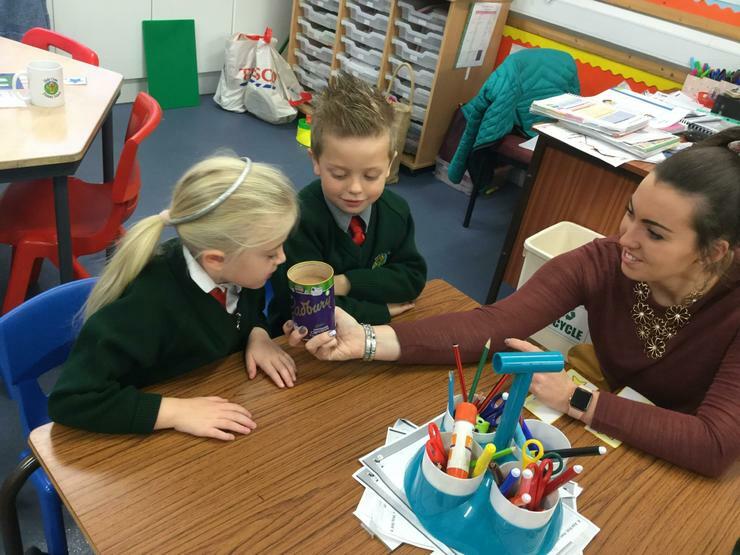 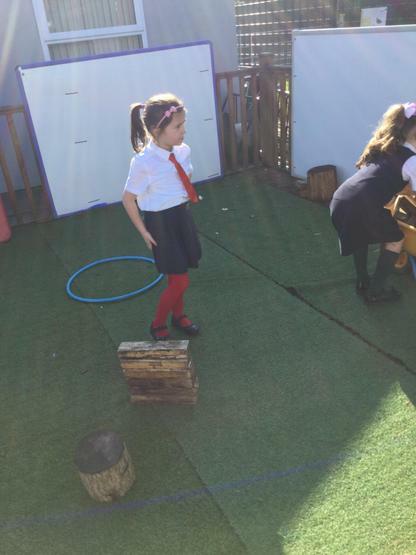 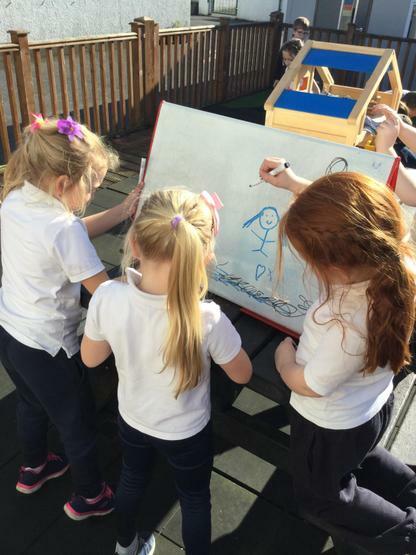 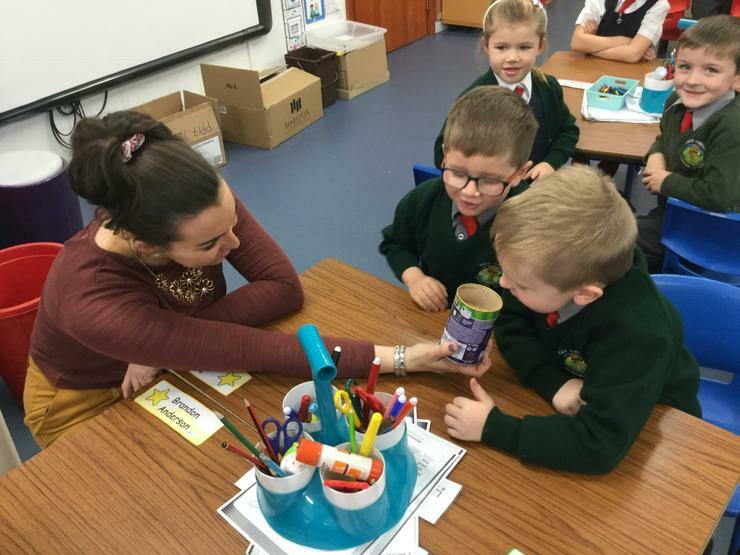 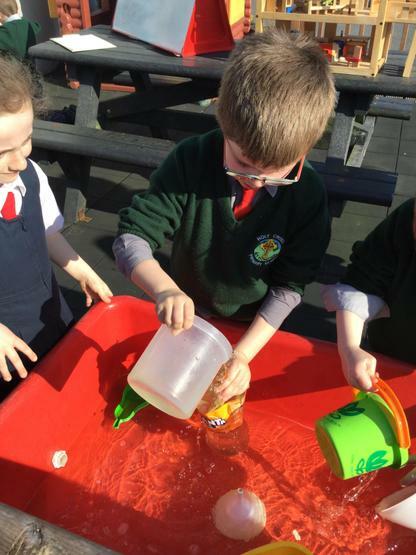 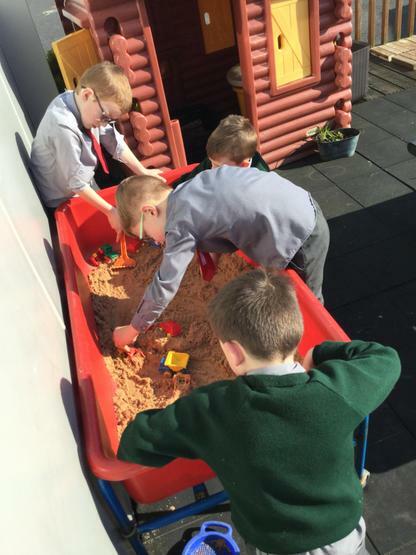 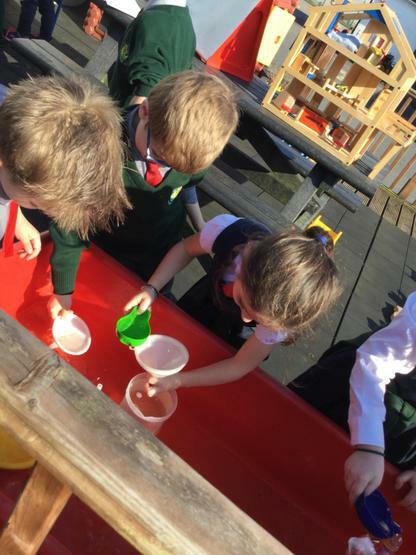 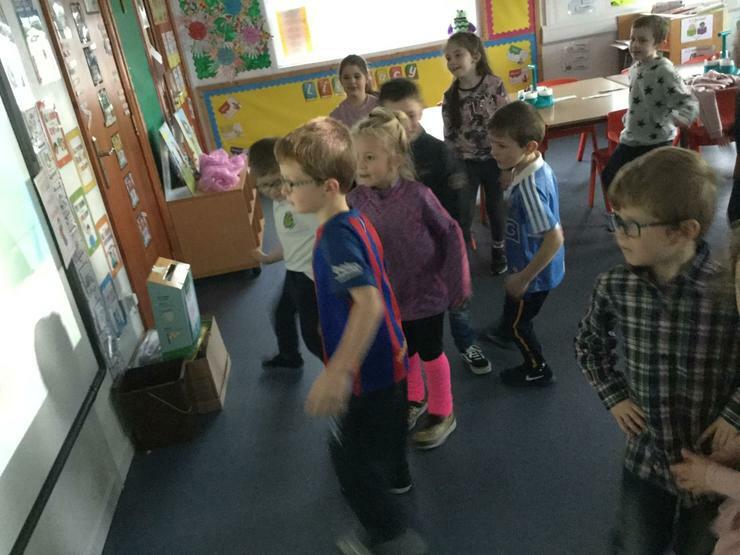 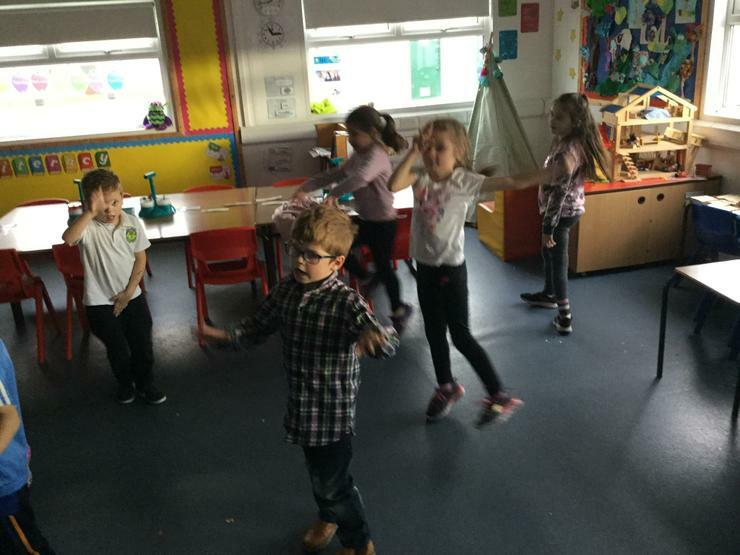 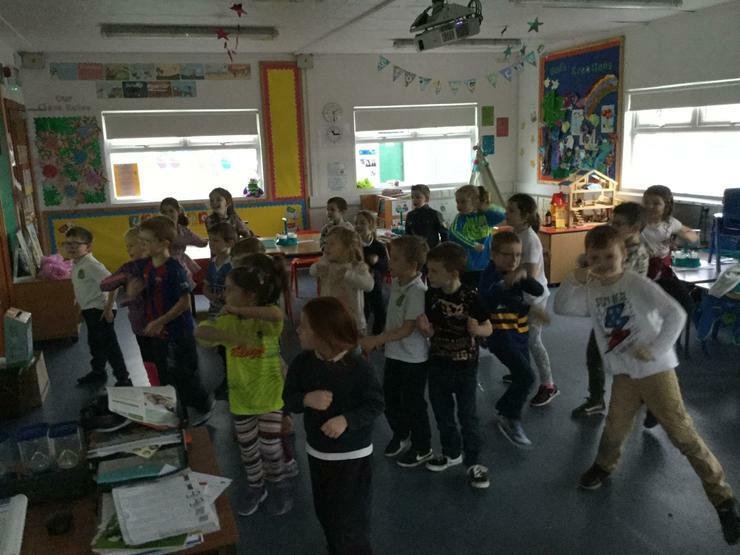 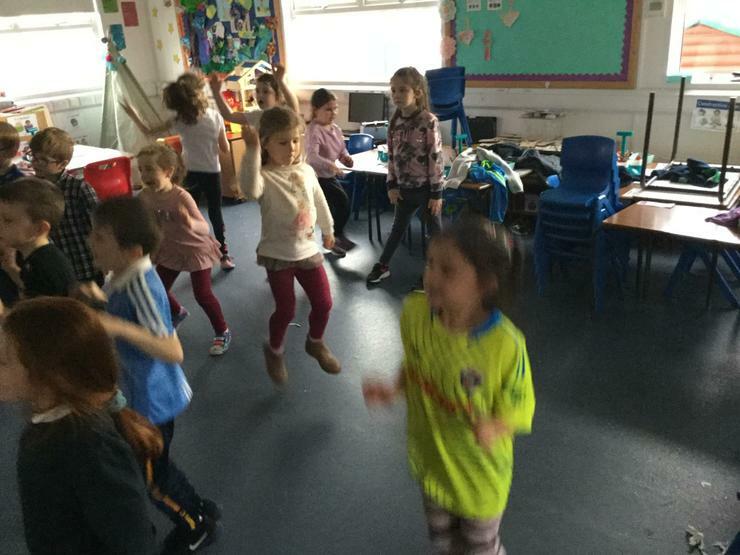 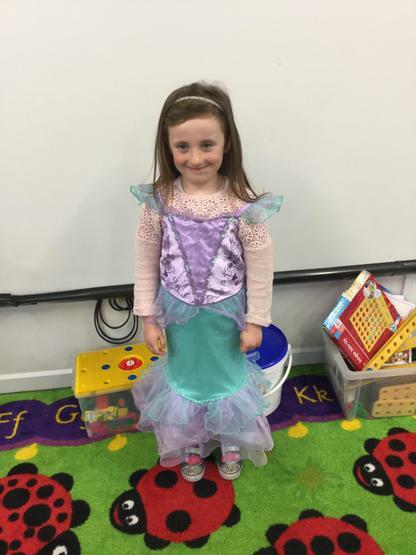 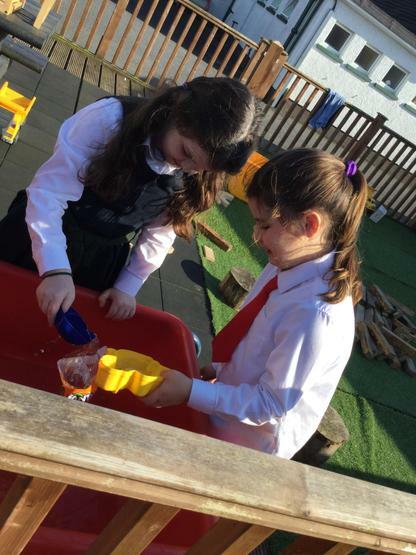 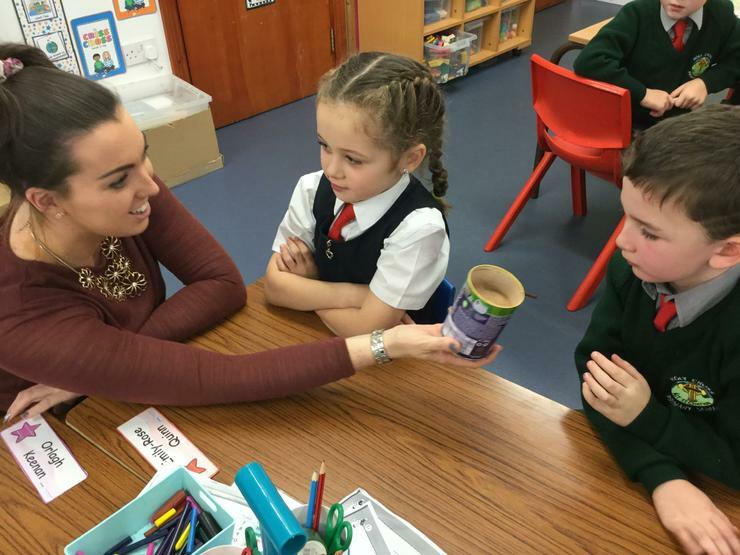 P2/3 getting into their topic of ‘Under the Sea’ during Play Based Learning. 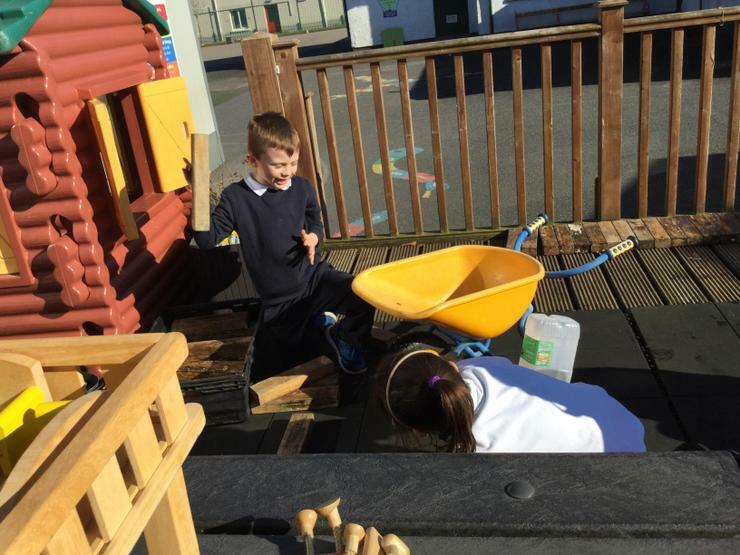 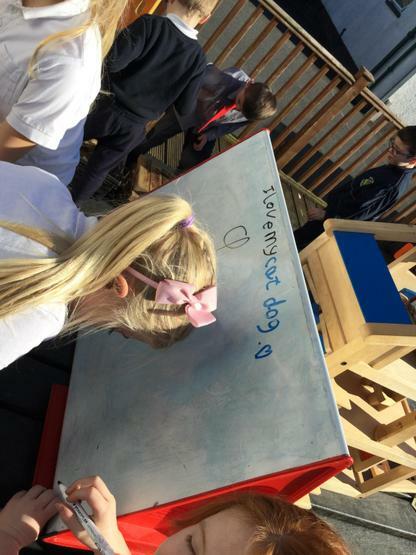 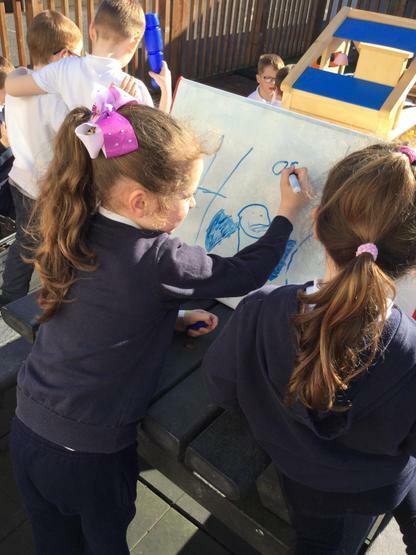 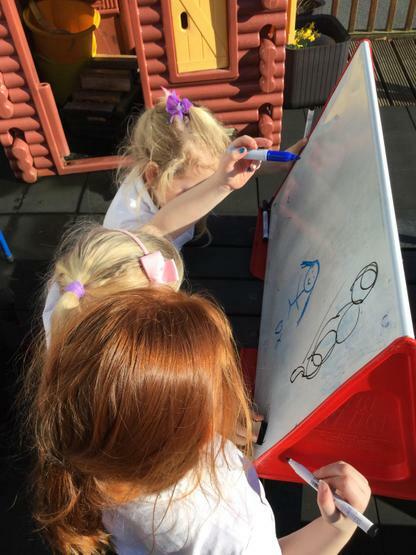 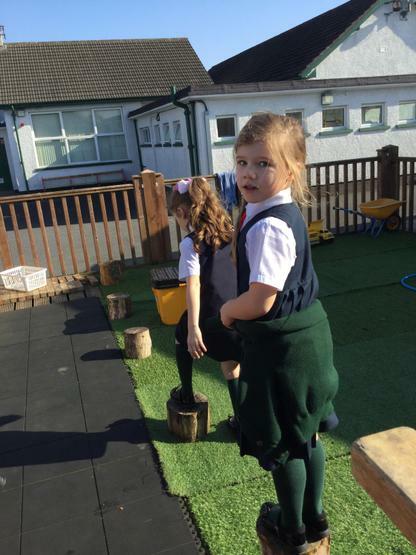 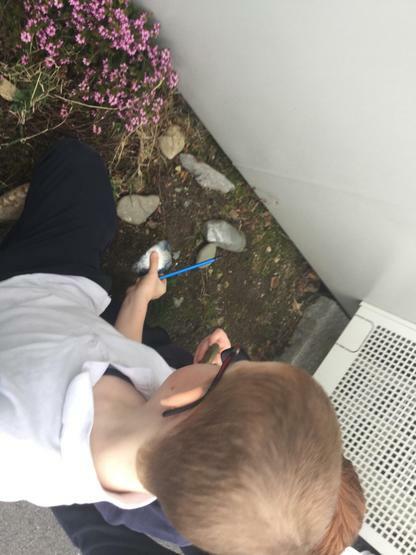 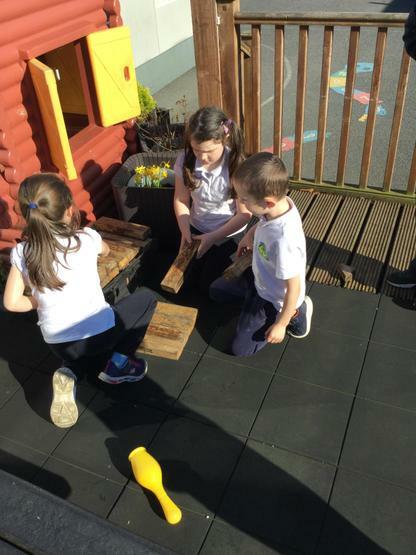 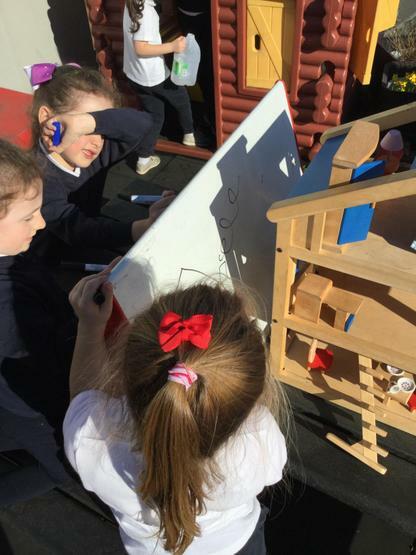 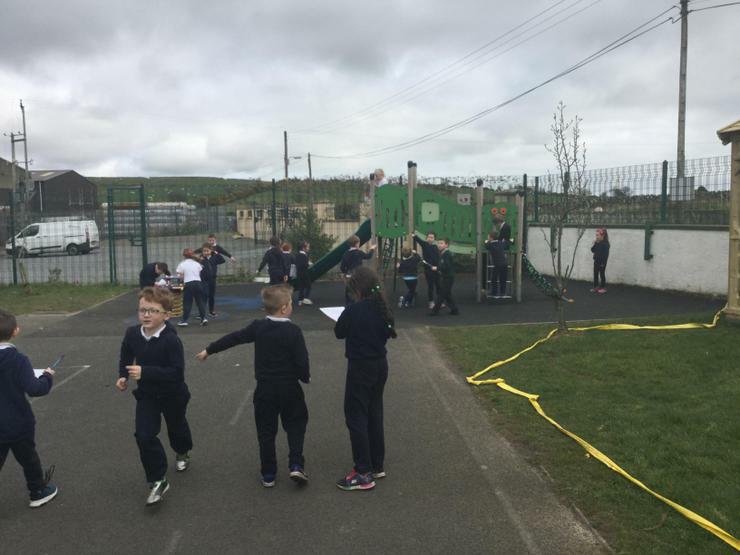 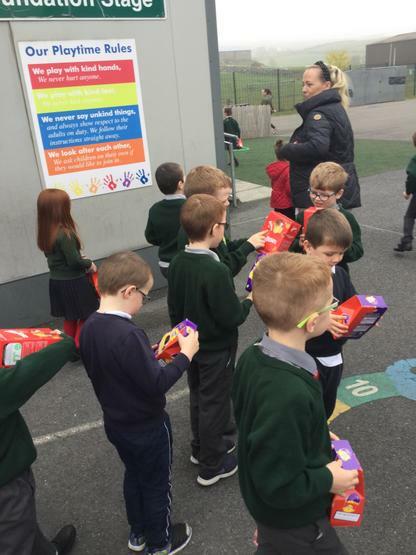 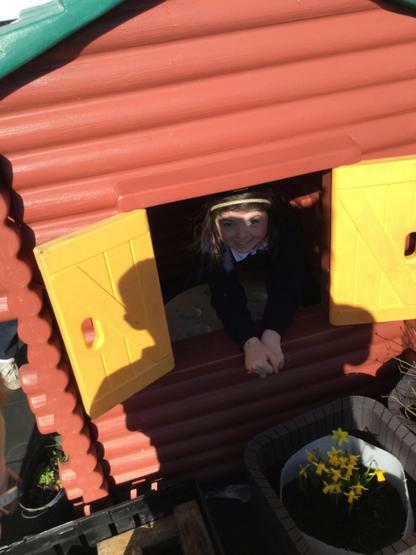 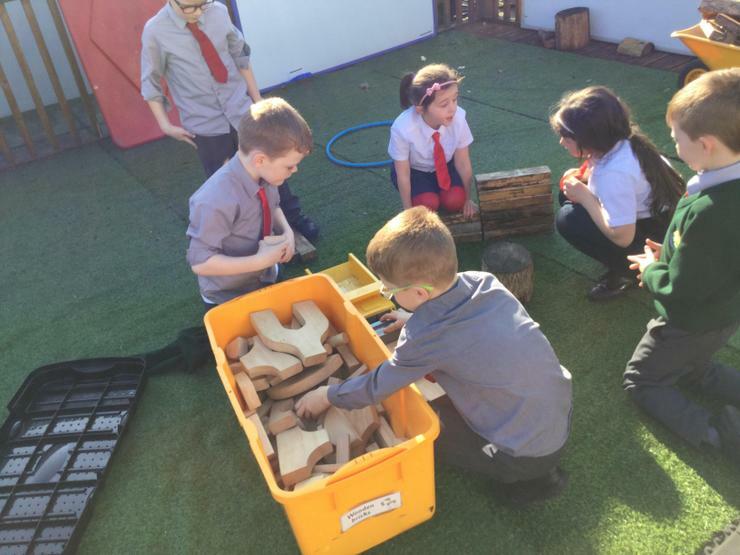 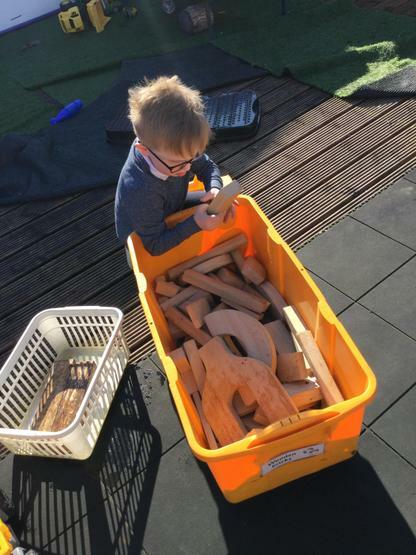 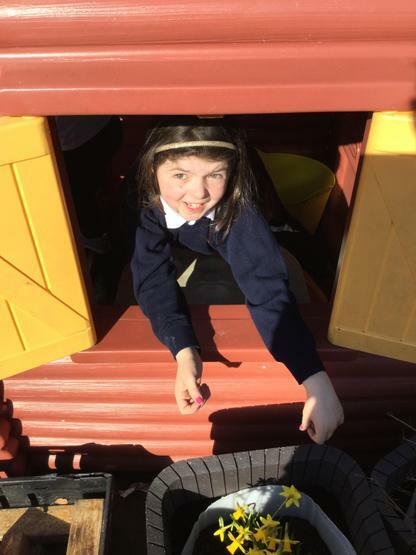 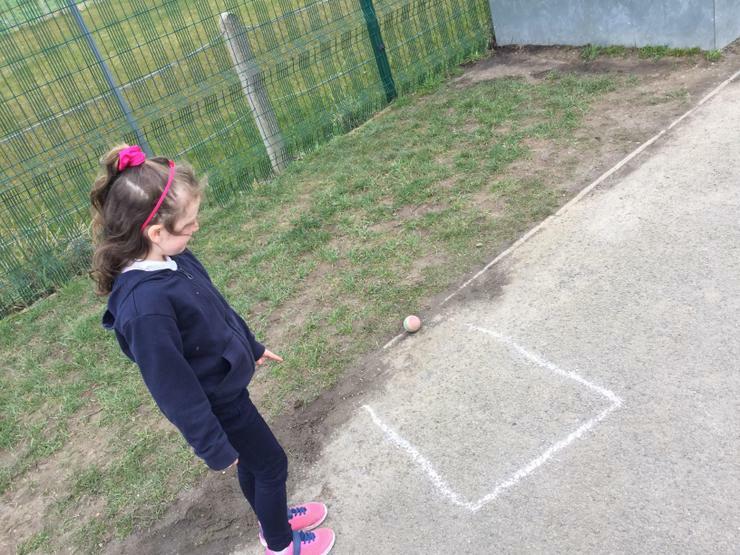 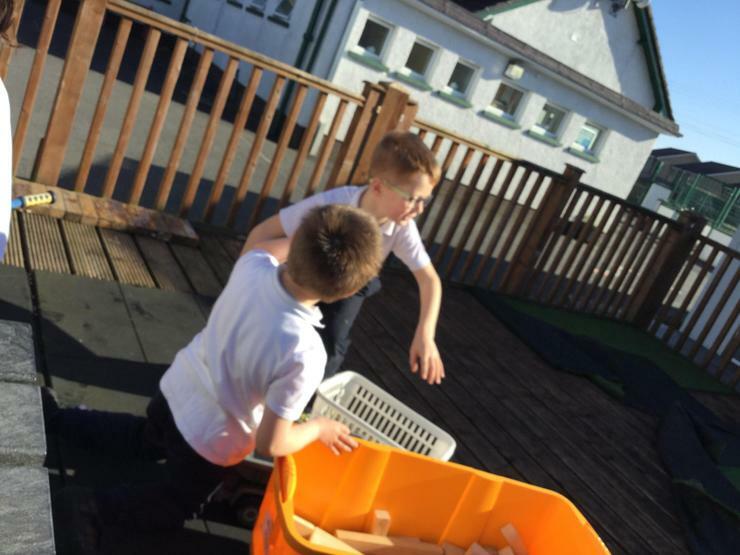 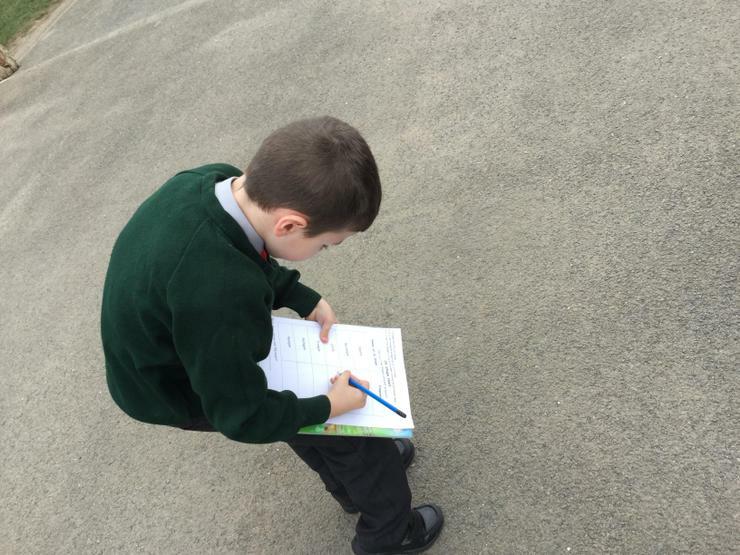 On Thursday we explored 2D shapes outside. 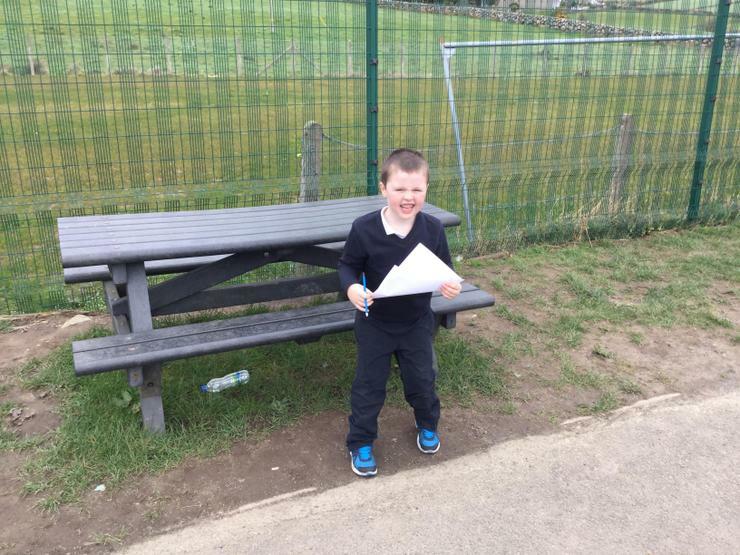 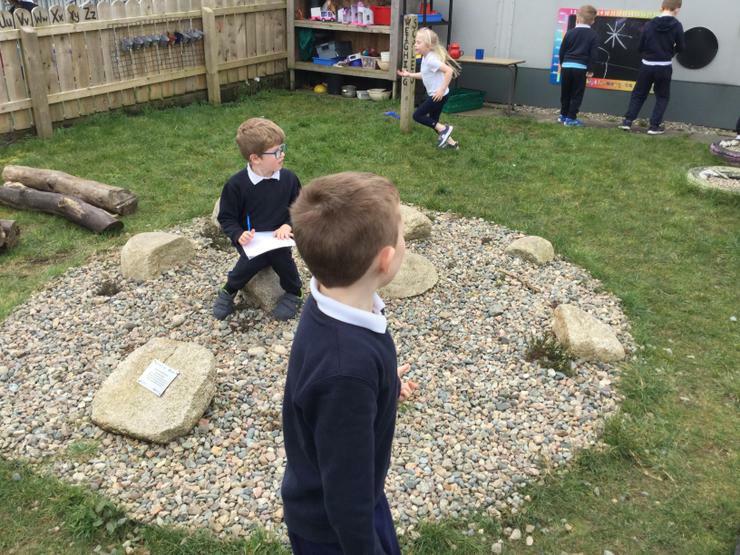 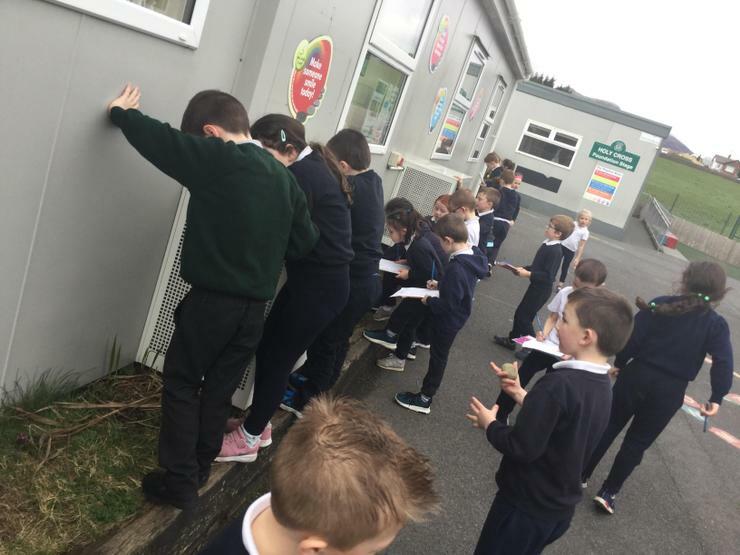 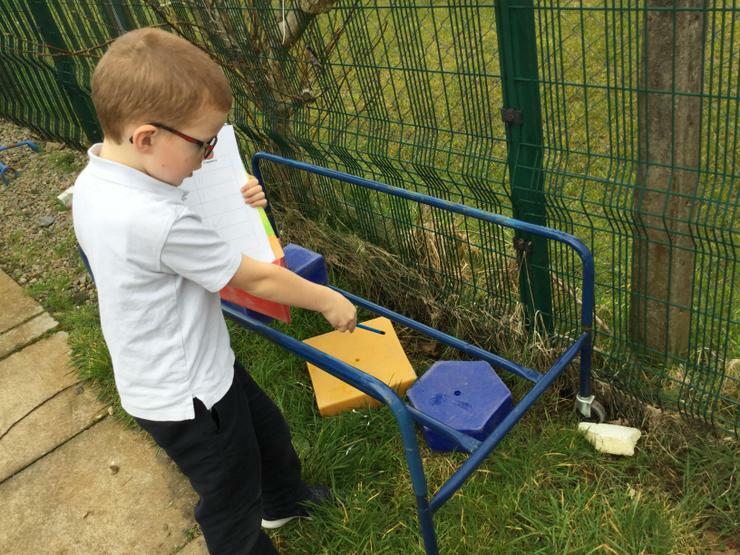 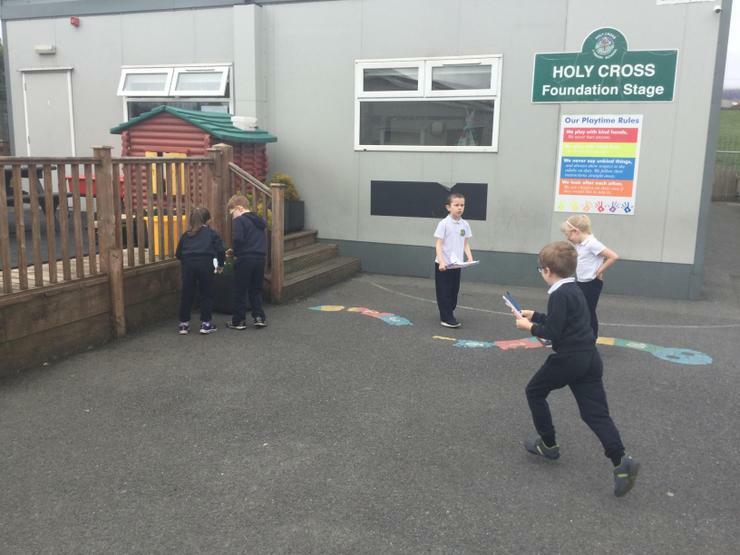 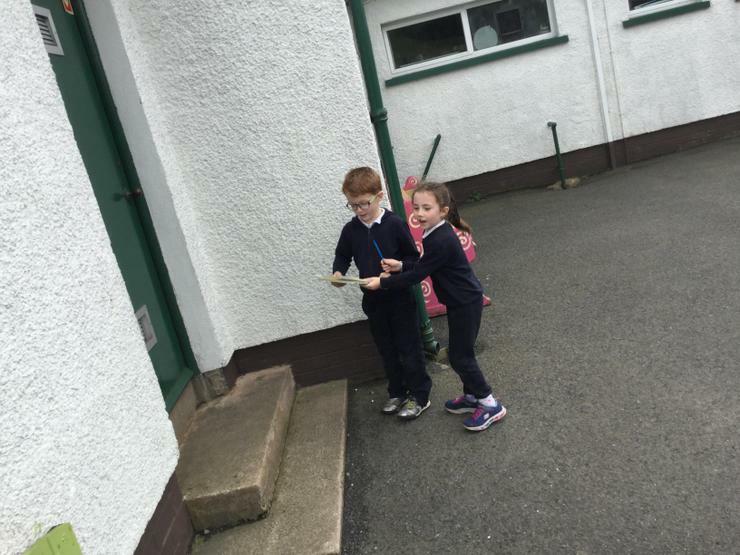 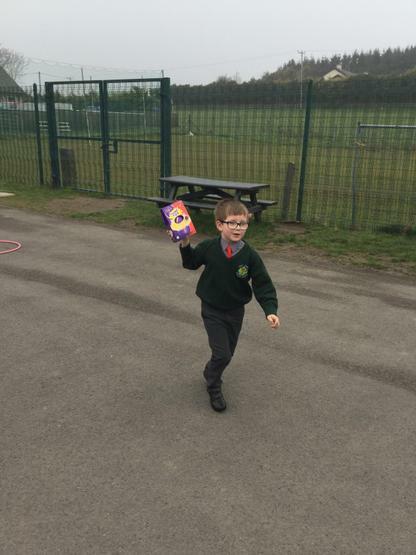 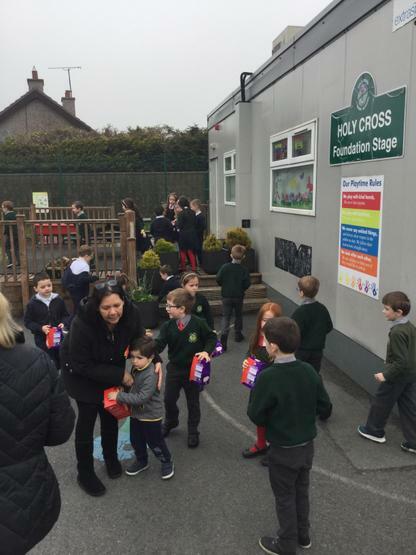 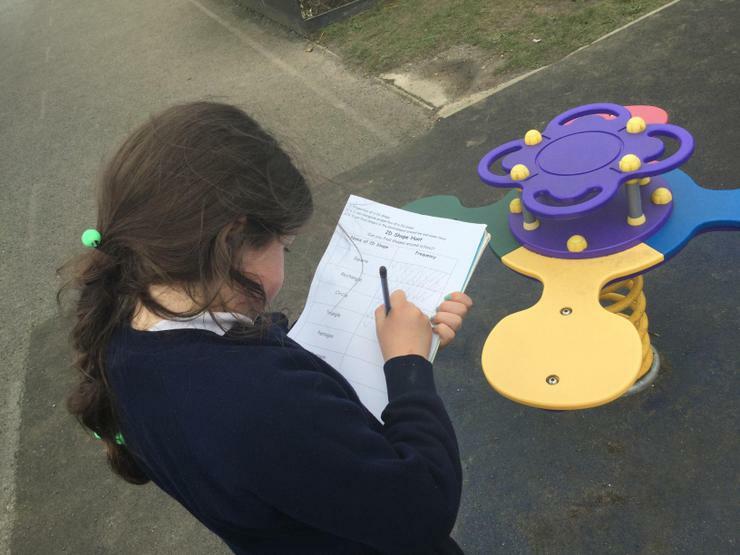 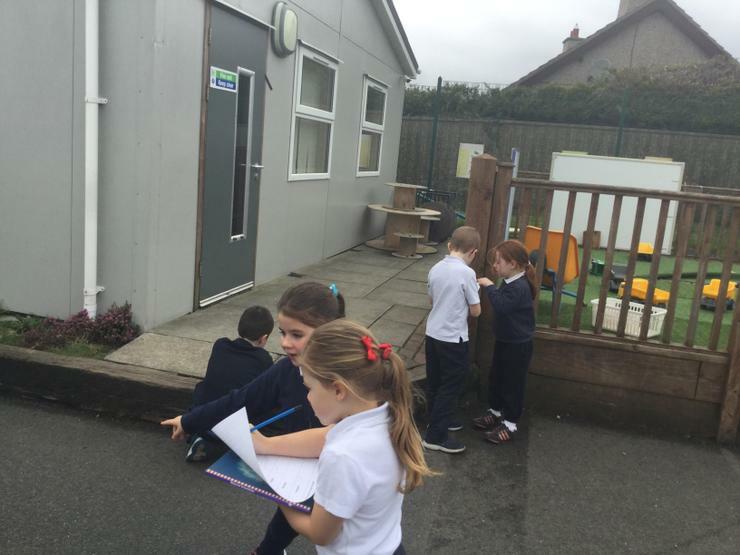 We went on a shape hunt around school looking for circles, triangles, rectangles, squares, pentagons and hexagons. 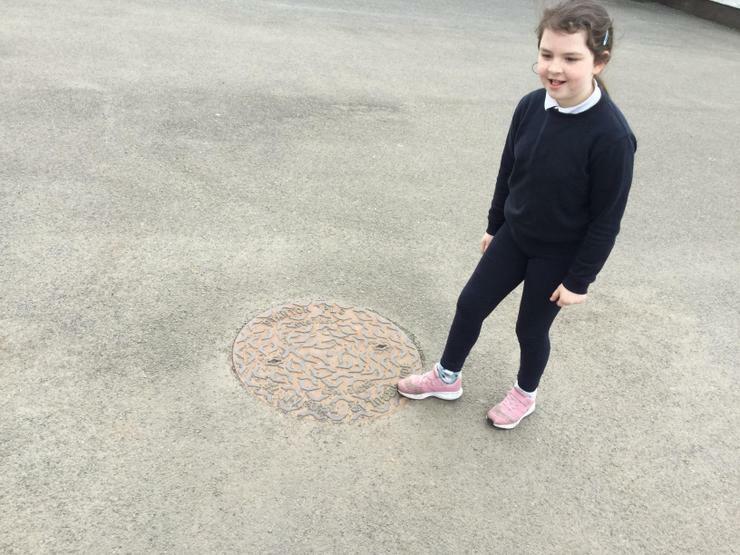 We found that most common shape was a rectangle and there is nothing in our school that is a pentagon or hexagon shape outside. 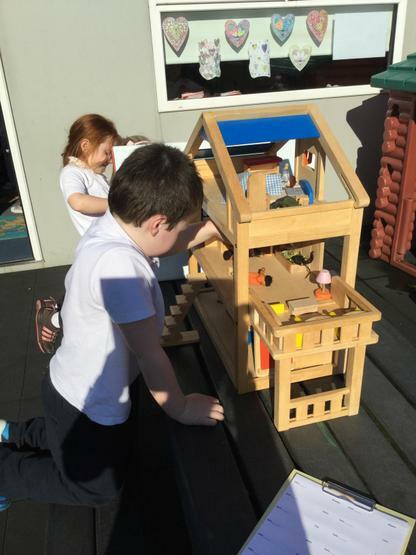 Next week we are going on a 3D hunt. 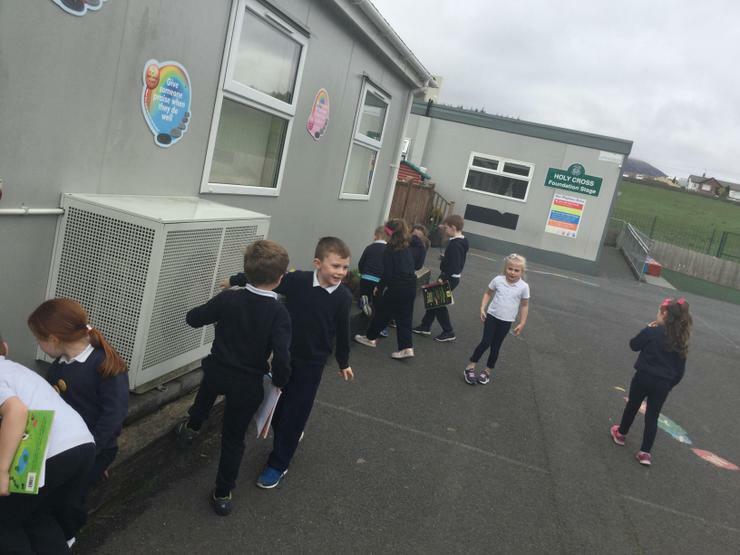 We’re going on a shape hunt, we’re going to find a BIG ONE! 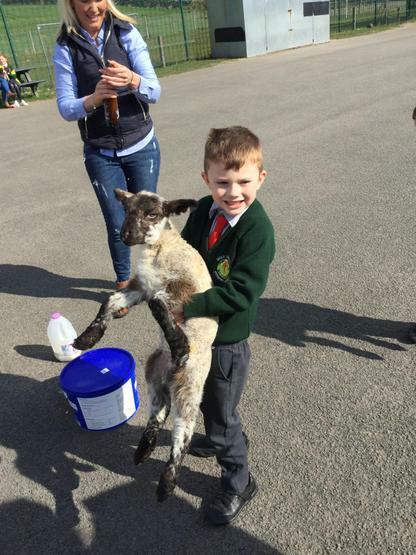 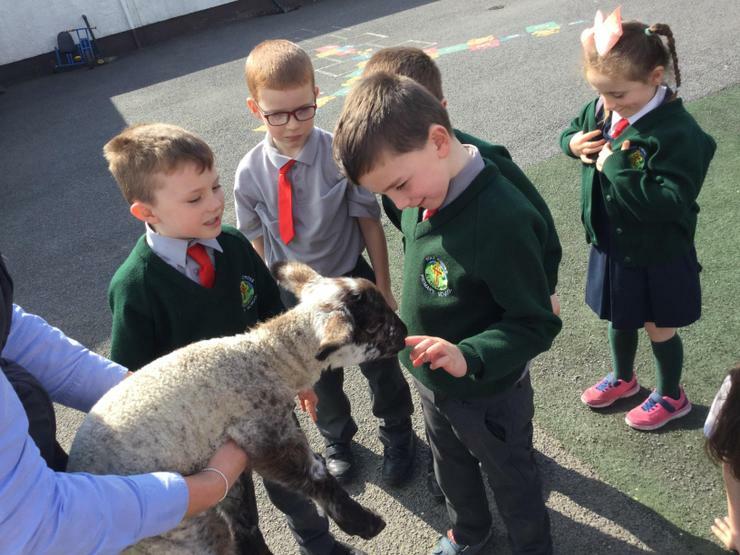 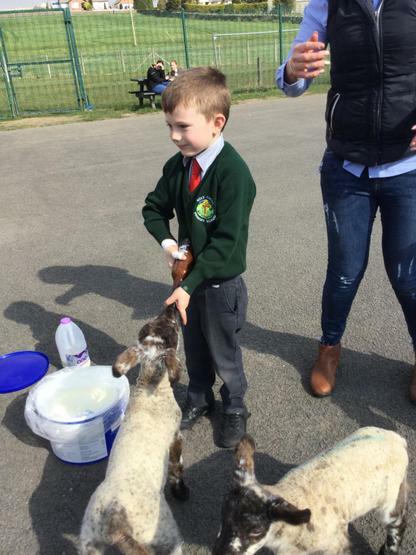 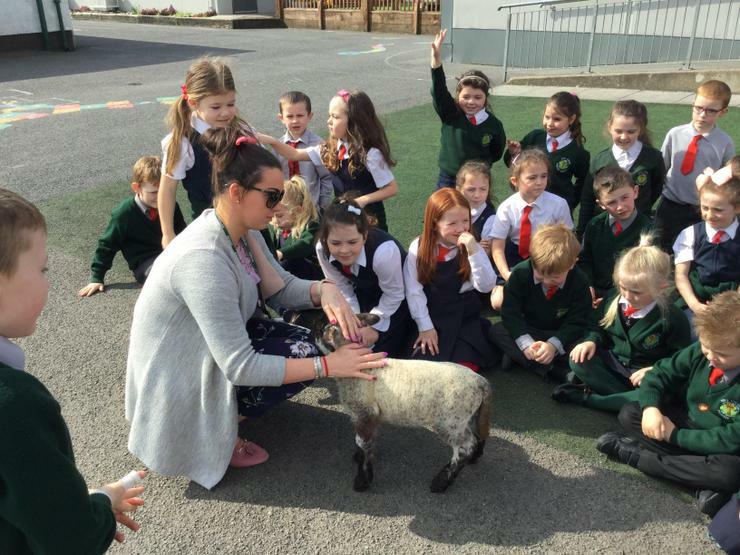 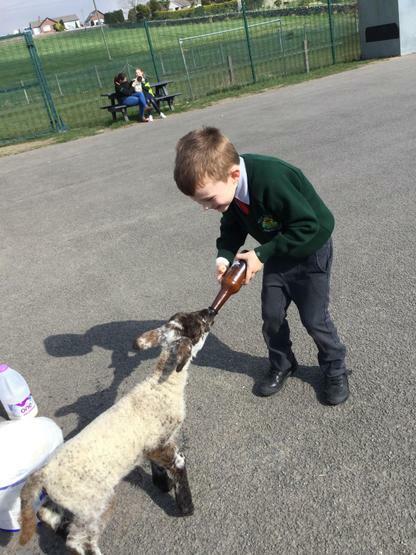 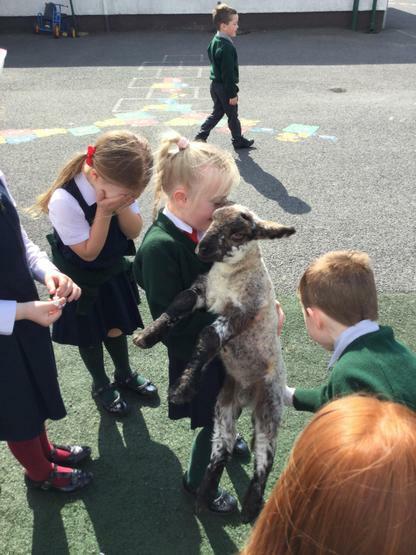 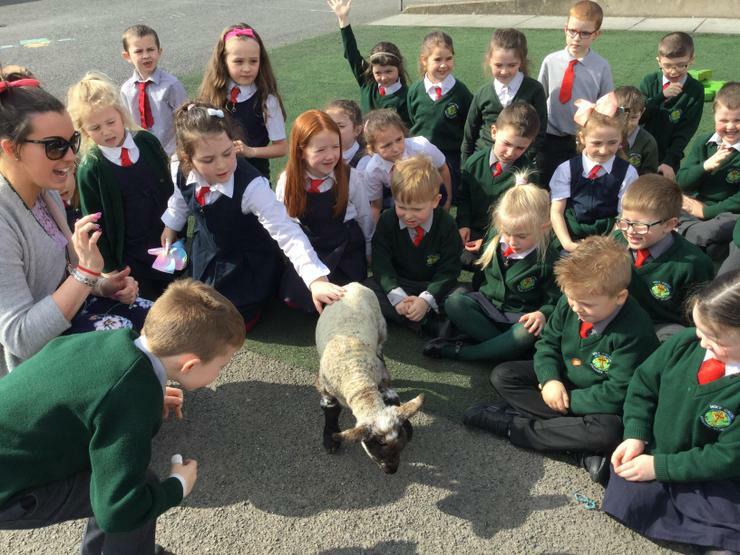 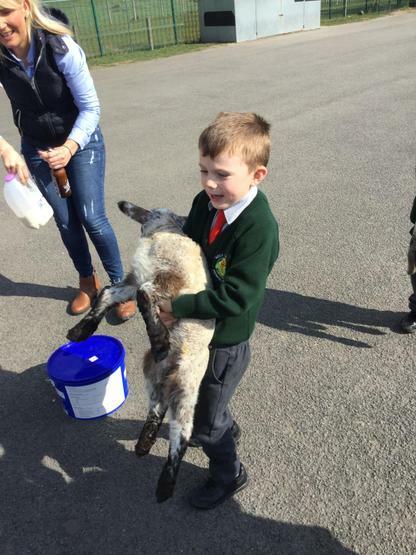 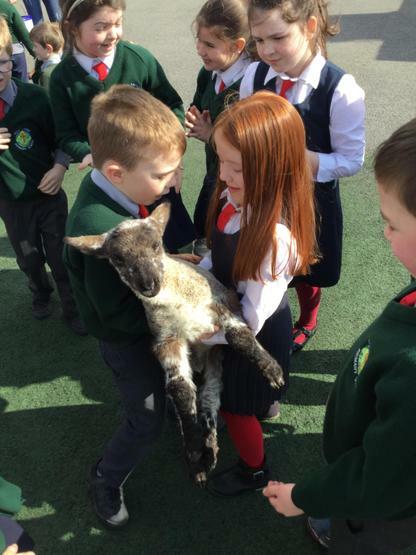 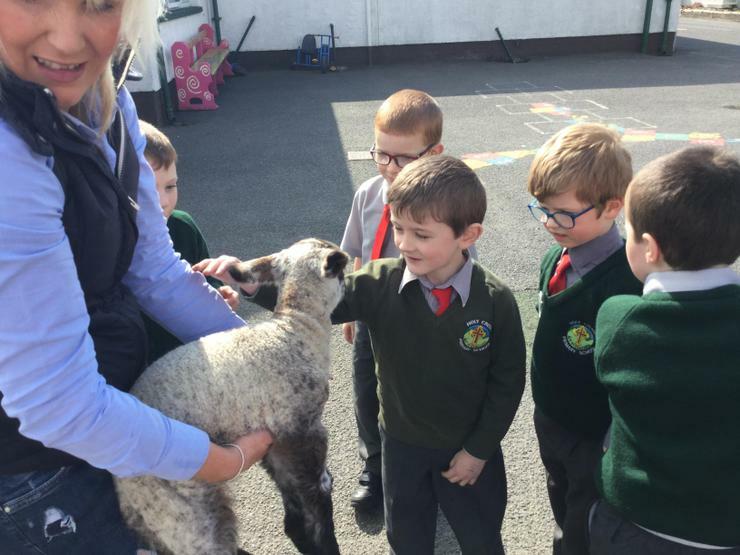 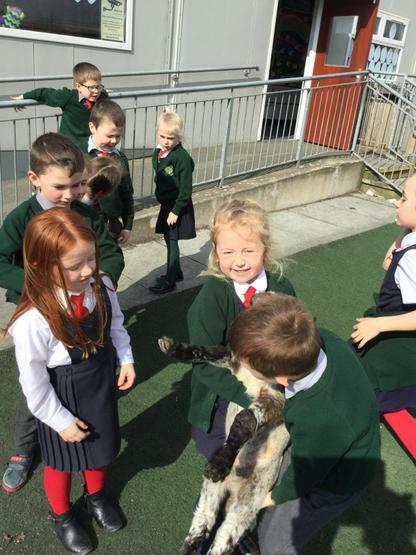 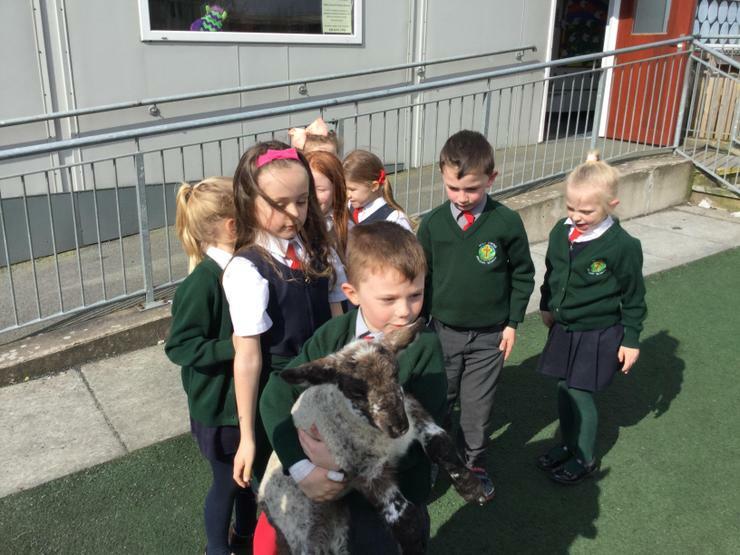 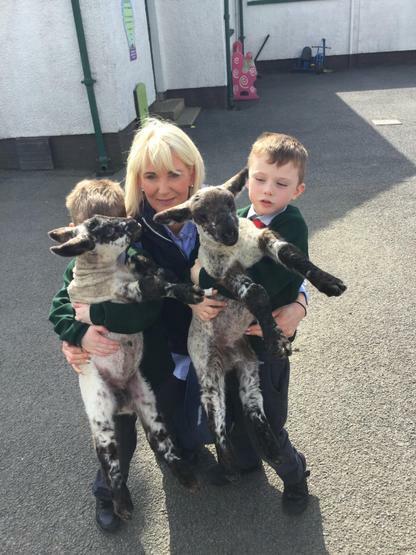 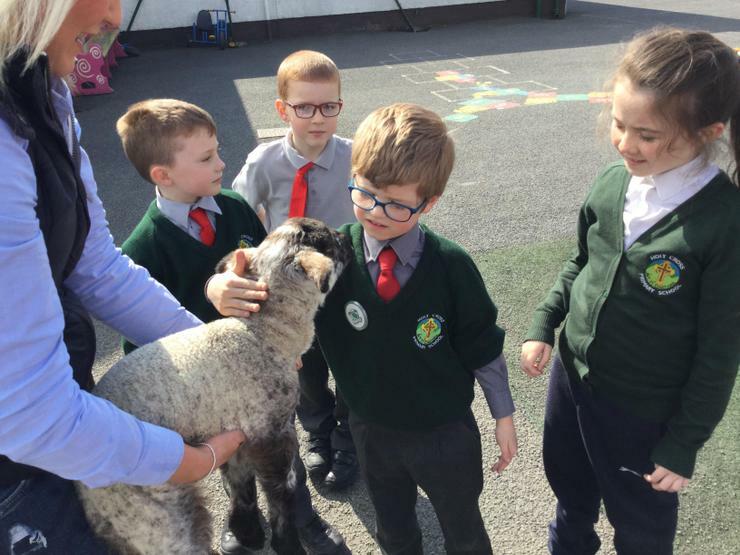 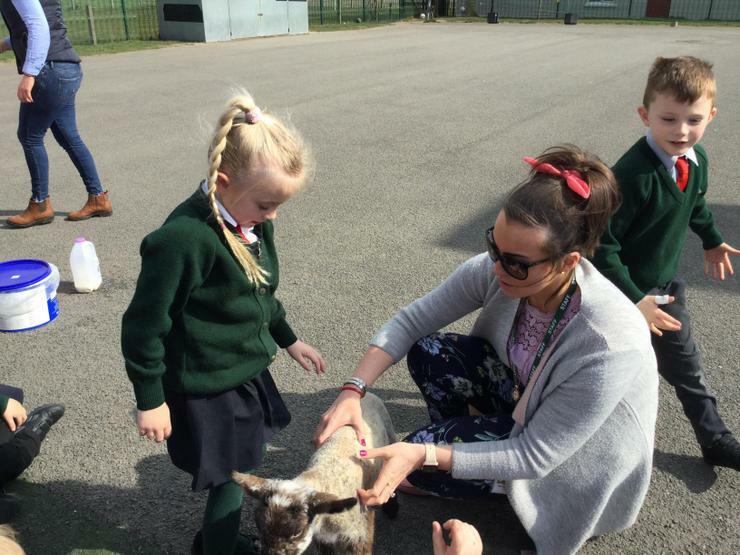 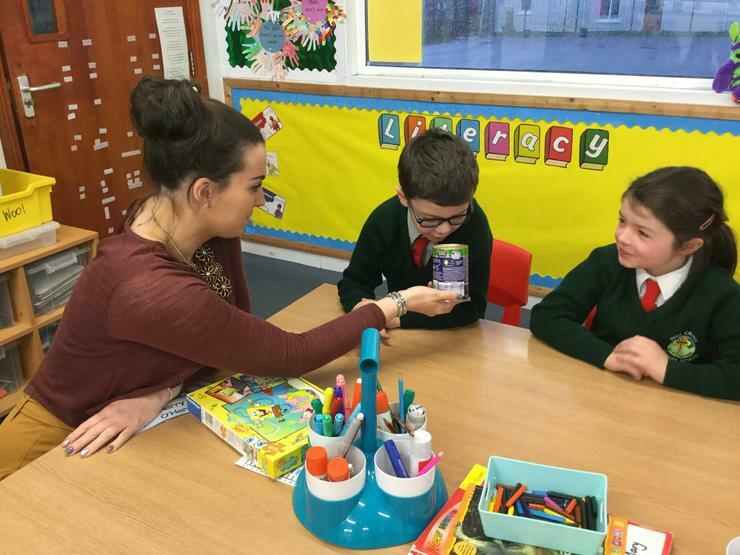 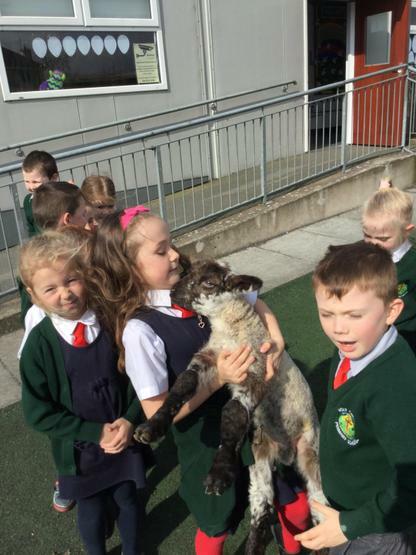 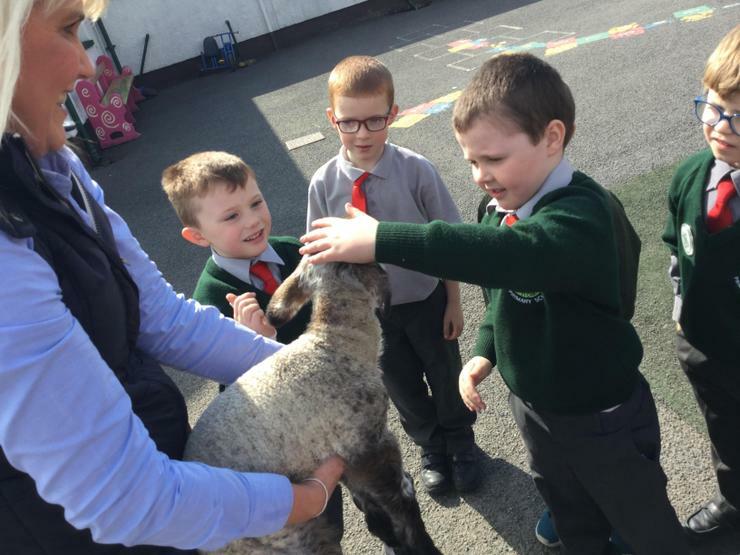 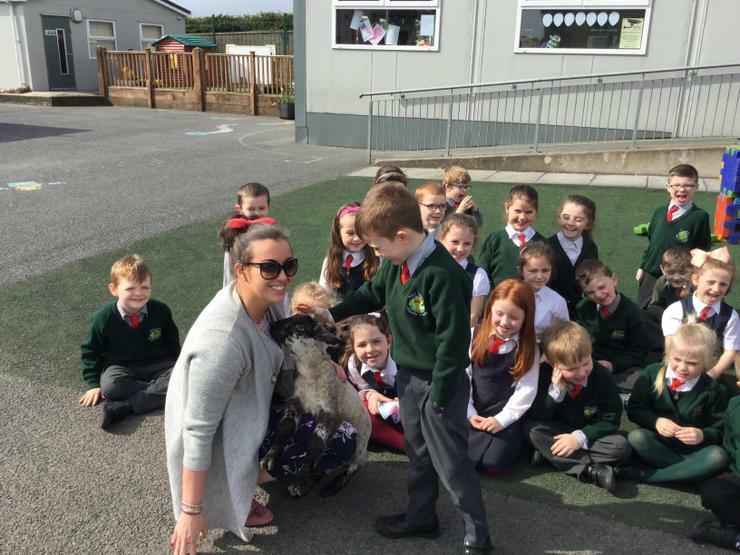 Thomas, Cormac and their mummy very kindly took in their pet Lambs Cookie and Joe to school for ‘Show and tell’. 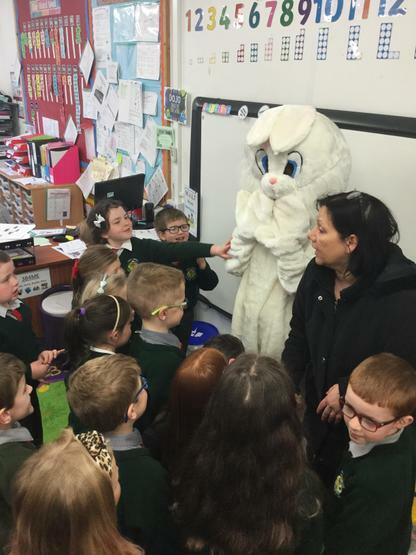 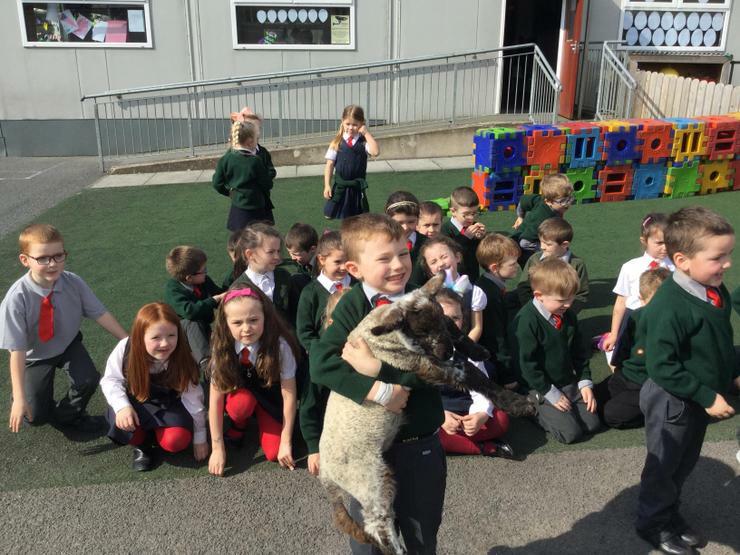 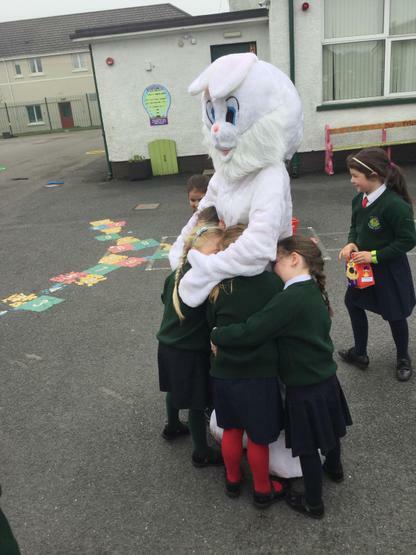 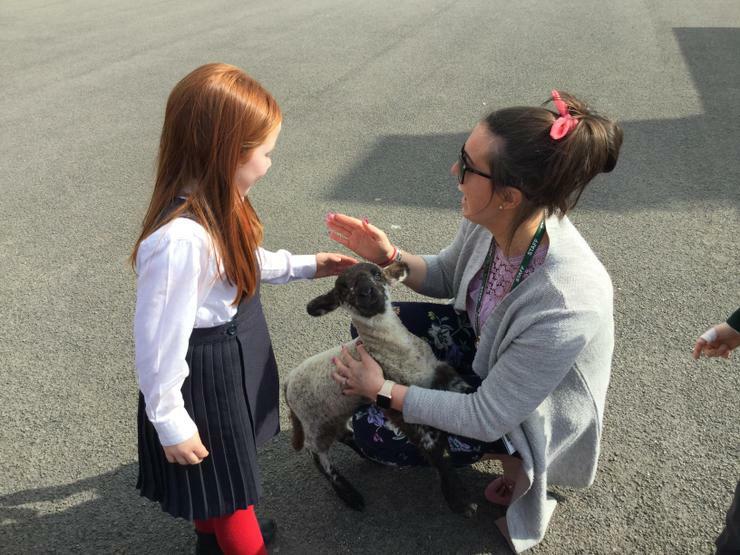 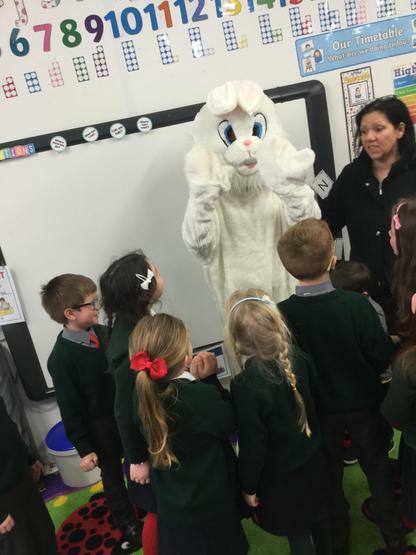 P2/3 had great fun meeting the lambs and Miss Connor even got a hug. 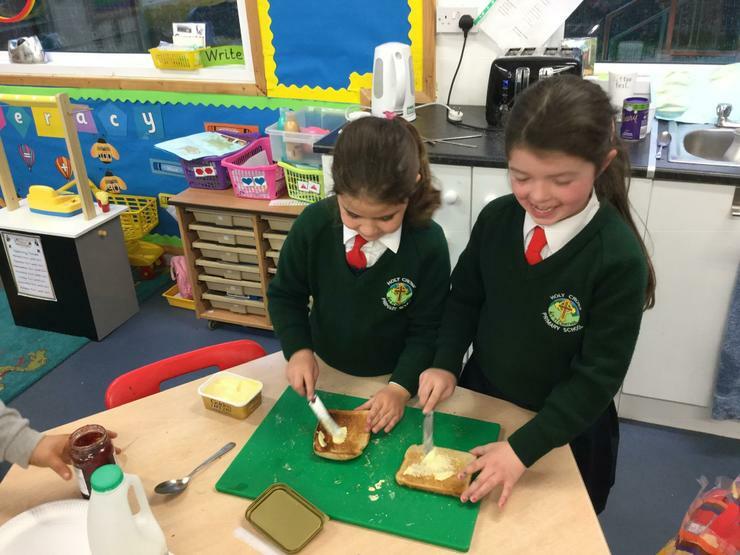 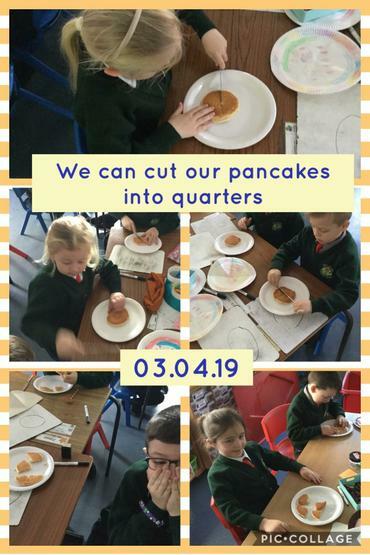 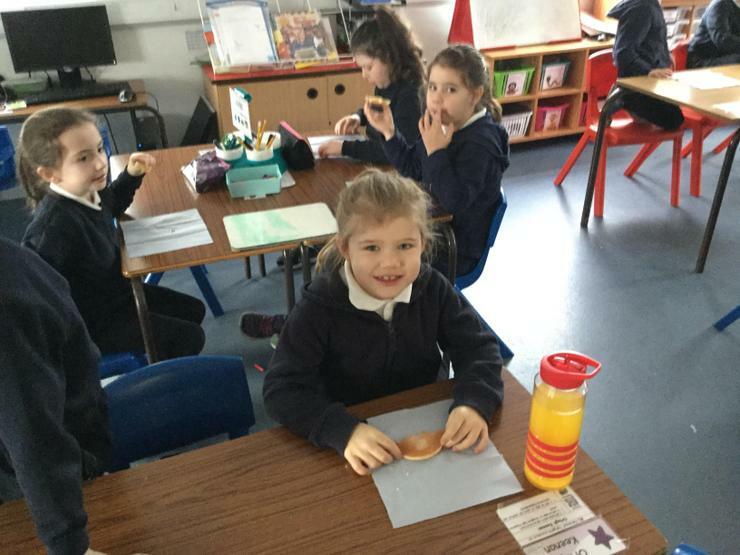 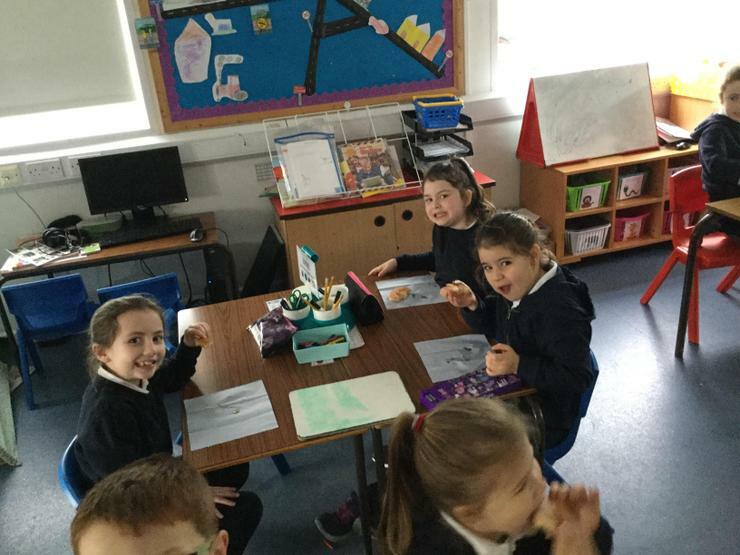 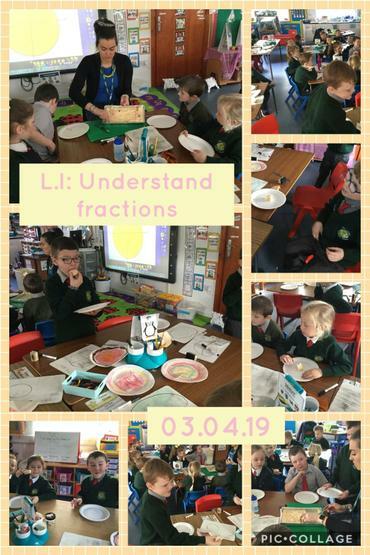 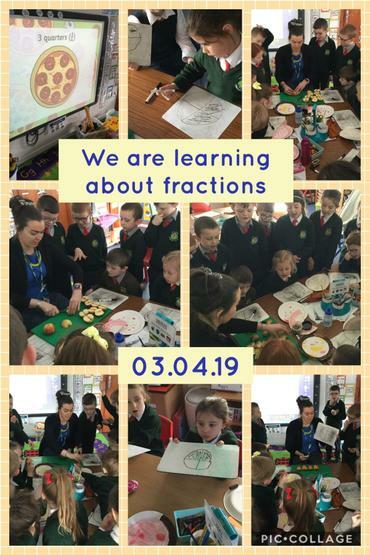 We are learning about fractions with pancakes, fruit and cake! 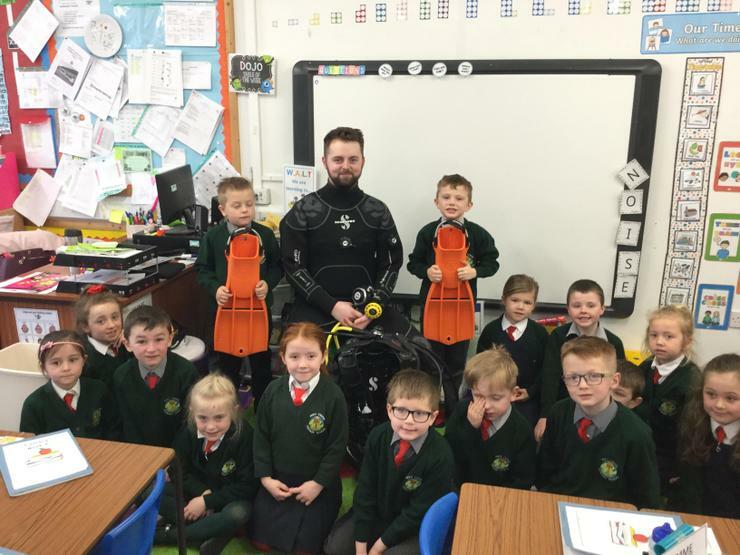 We had a very special surprise today - Jason Grant (Sharon’s son) came in to talk to us about being a Scubadiver. 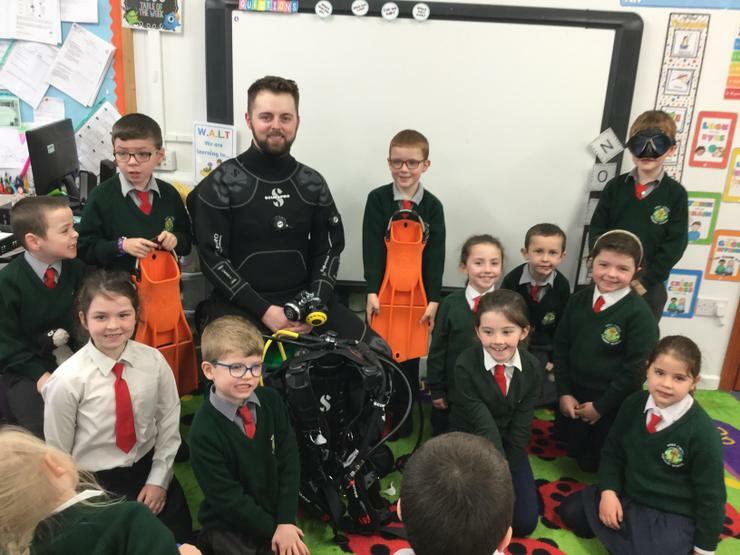 He took in all of this equipment and showed us videos of his dives . 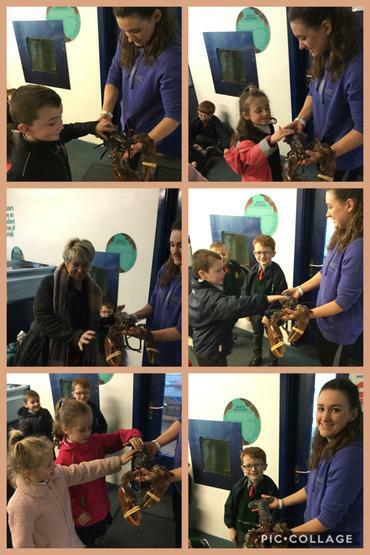 Thank you Jason and Sharon.